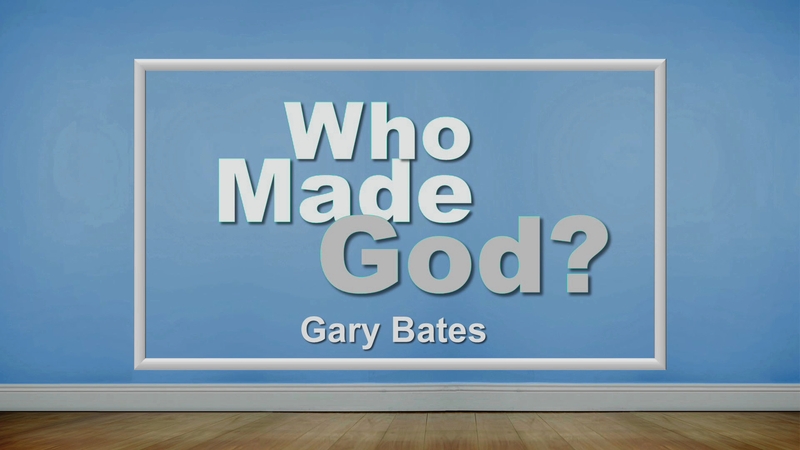 Join Origins host, Ray Heiple as he welcomes Gary Bates for, “Who Made God?” The question “If God created the universe, then who created God?” is often used to challenge the truth of the Genesis account of Creation. 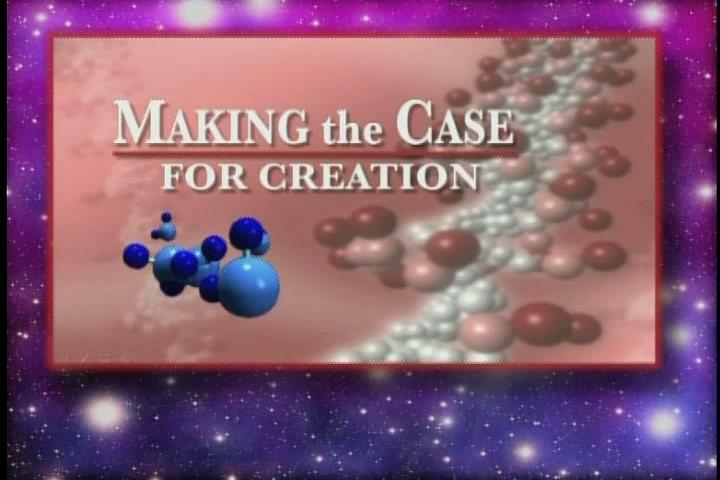 Many people claim that invoking a supernatural act by a Creator, who is beyond our time and space, is unscientific. 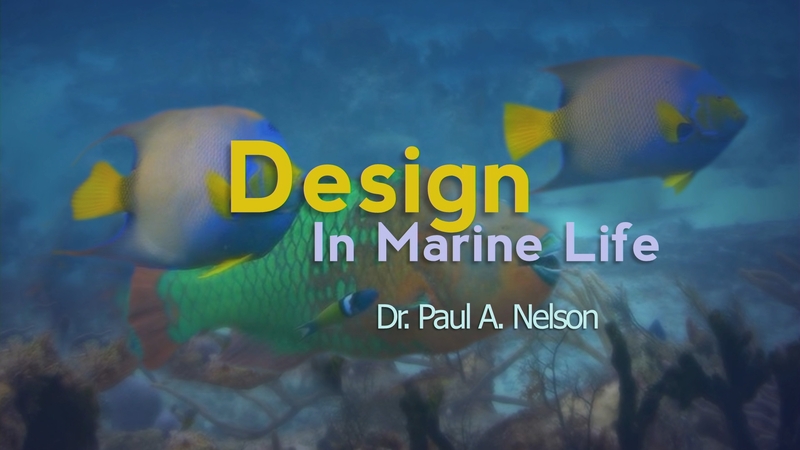 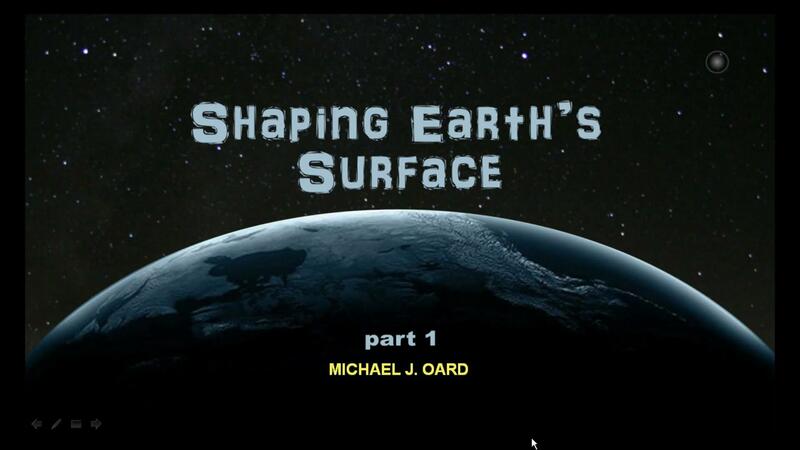 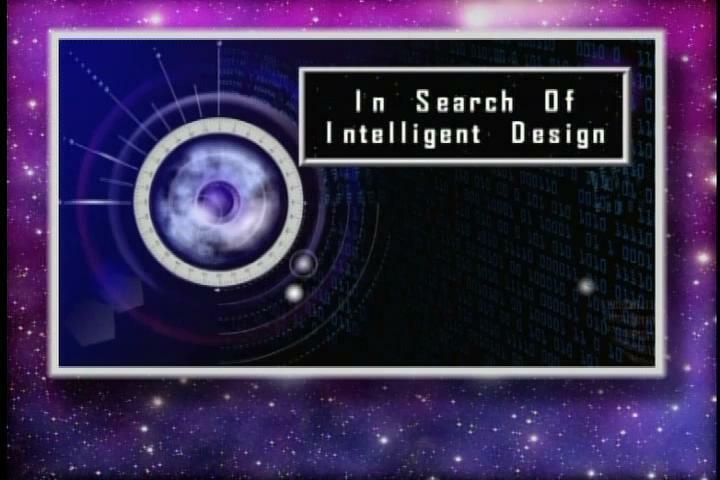 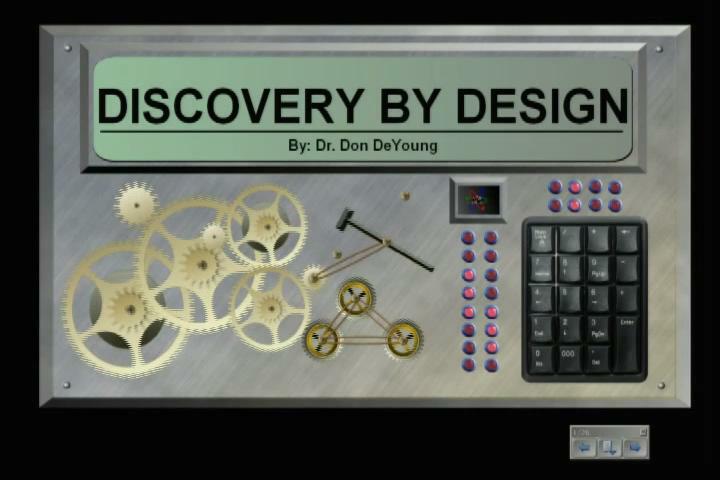 In reality, the universe displays all the hallmarks of complex and purposeful design. 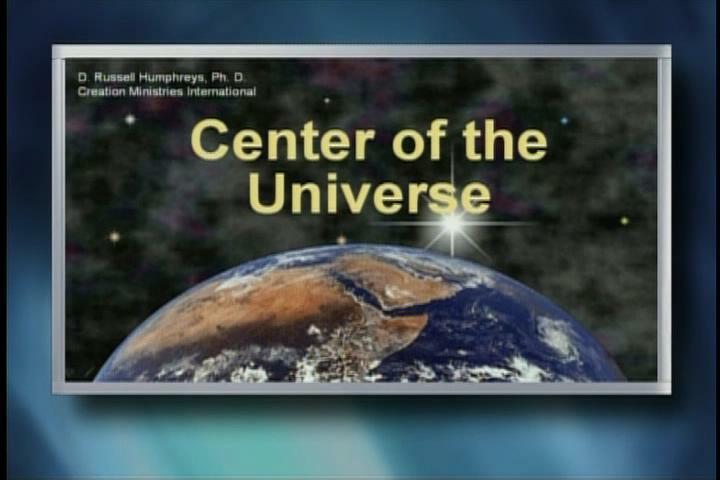 Indeed the ‘heavens declare the Glory of God’ and reveal His purpose for mankind. 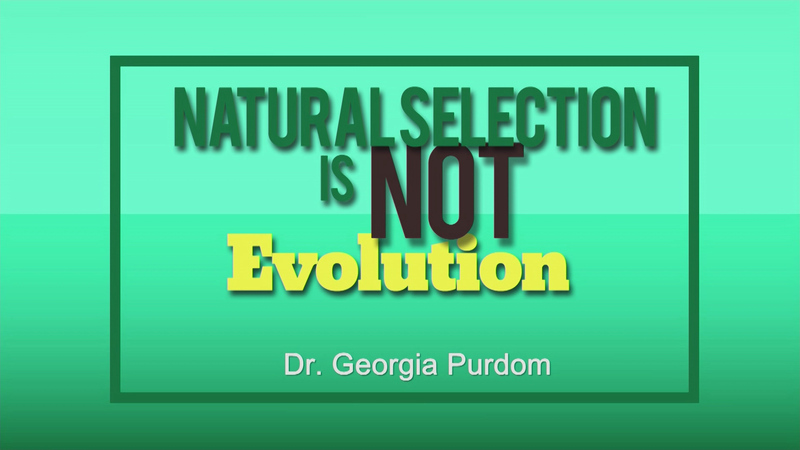 Join Origins host, Ray Heiple as he welcomes, Dr. Georgia Purdom for, “Natural Selection is not evolution.” The engine that drives Darwinian evolution is natural selection. 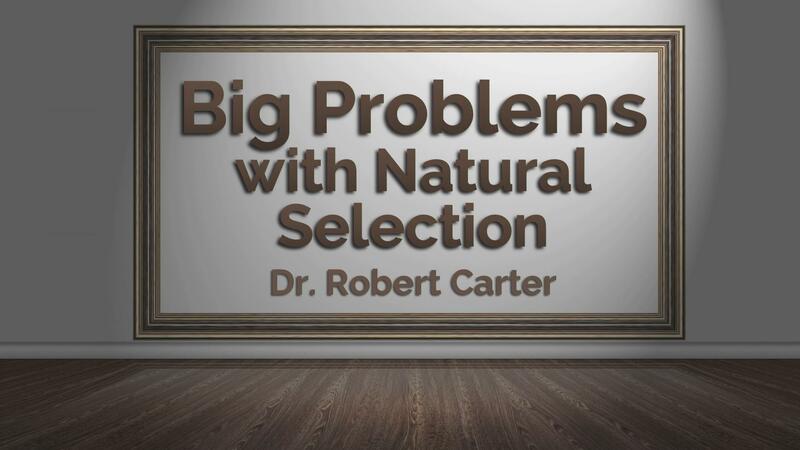 Natural selection “selects” organisms that are best suited for an environment and over time this purportedly has led to the evolution of one kind of organism changing into a completely different kind of organism. 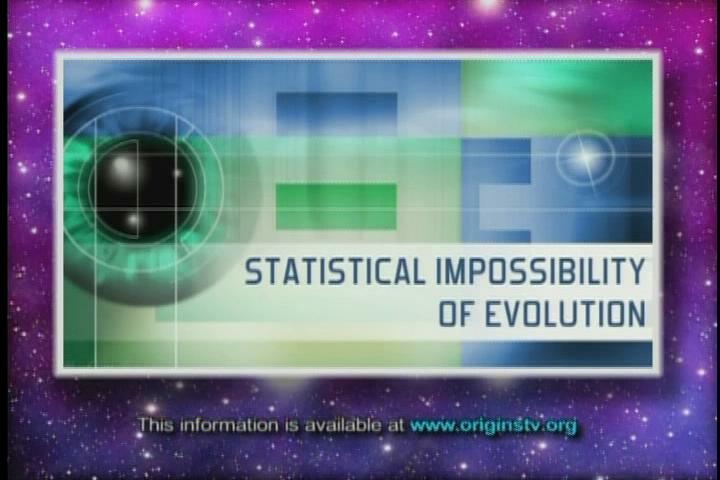 However, real-world genetic data shows what natural selection really does to populations. 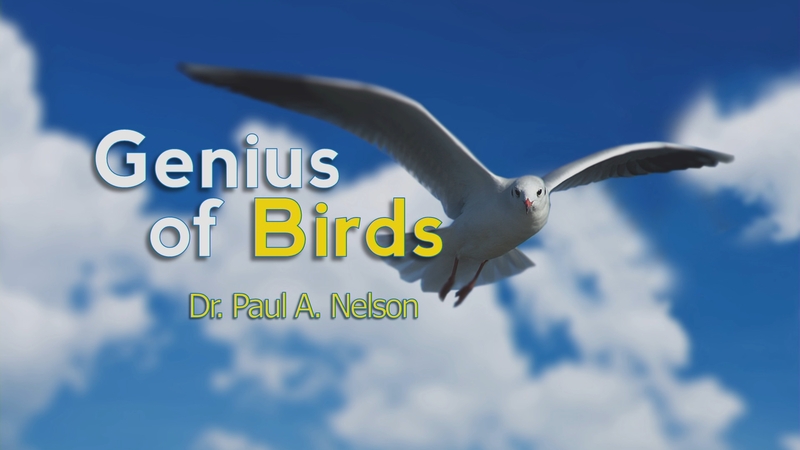 Join Origins host Ray Heiple as he welcomes, Dr. Paul Nelson for, “The Genius of Birds.” Place a bird feeder in your backyard, and before long cardinals, sparrows, woodpeckers, and maybe even hummingbirds will come zipping by. 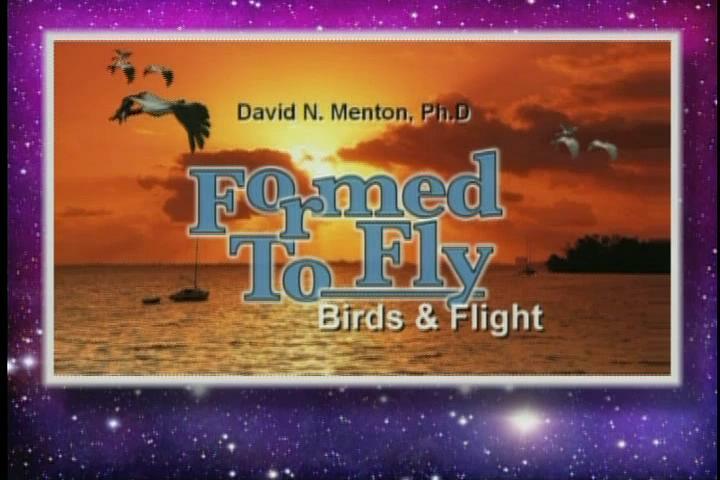 We can take these amazing creatures for granted, but each one represents a stunning solution to aeronautical engineering problems. 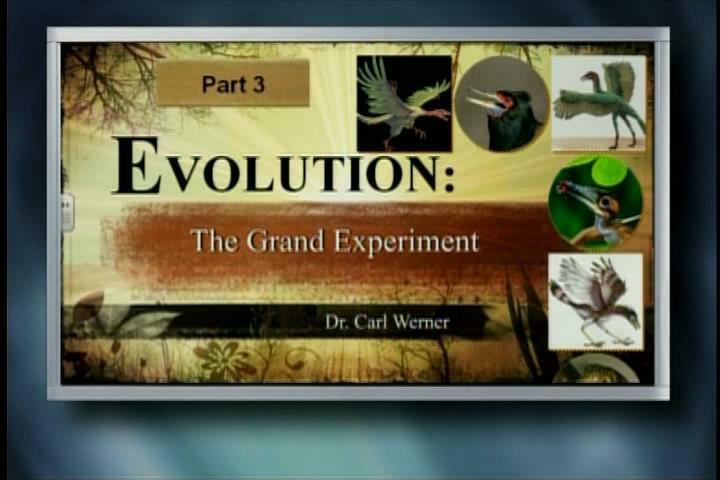 Does the undirected evolutionary process of natural selection truly explain bird origins – or does their existence point to an intelligent designer? 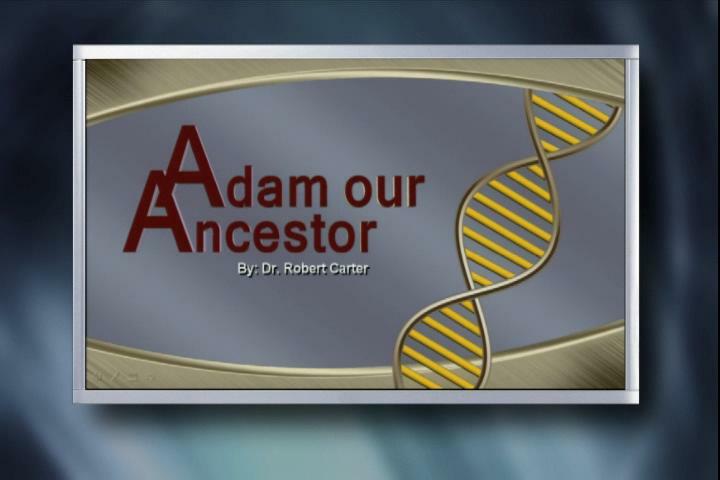 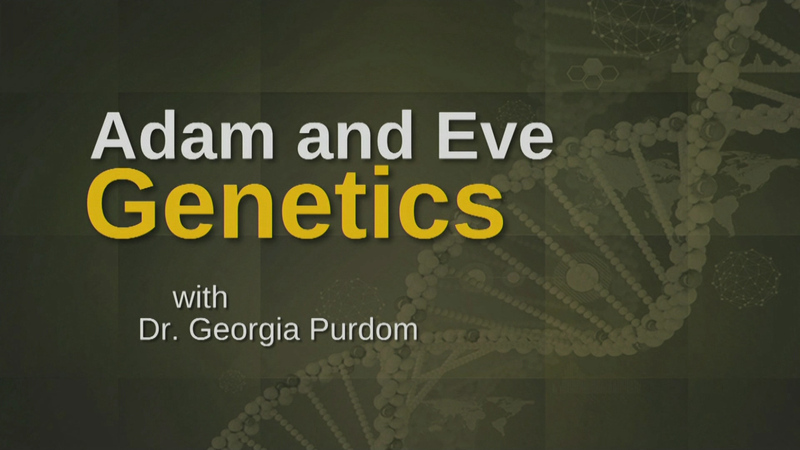 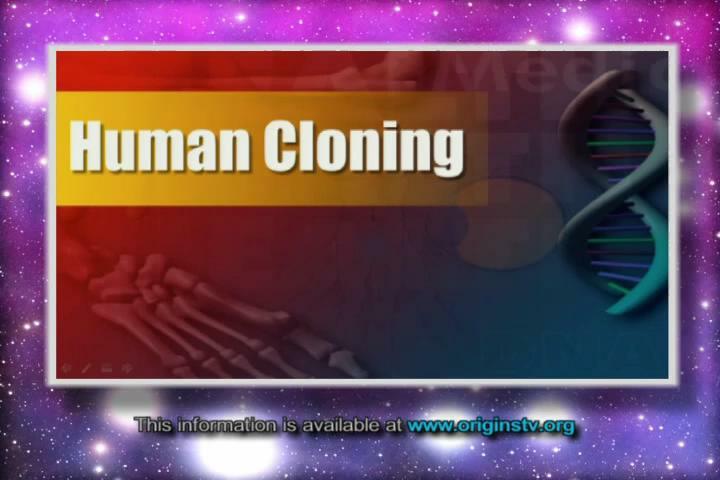 Join Origins host, Ray Heiple as he welcomes, Dr. Georgia Purdom for, “Adam & Eve Genetics.” A big debate today is whether Adam and Eve were real people. 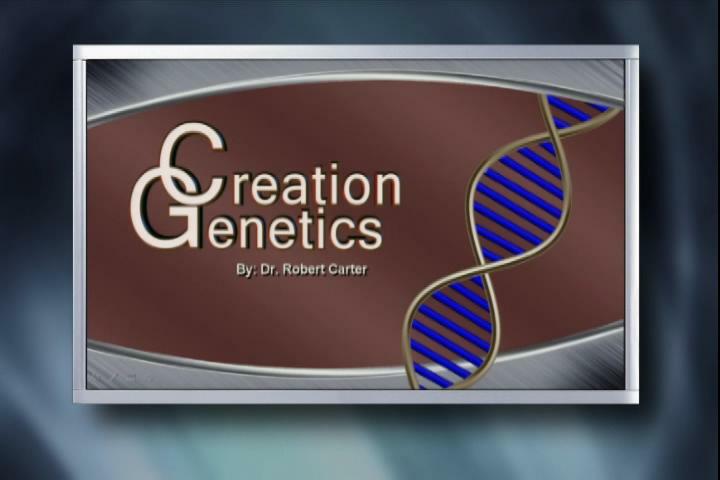 Sadly, many Christian theologians and scientists believe that genetics has disproven the existence of an original couple specially created by God. 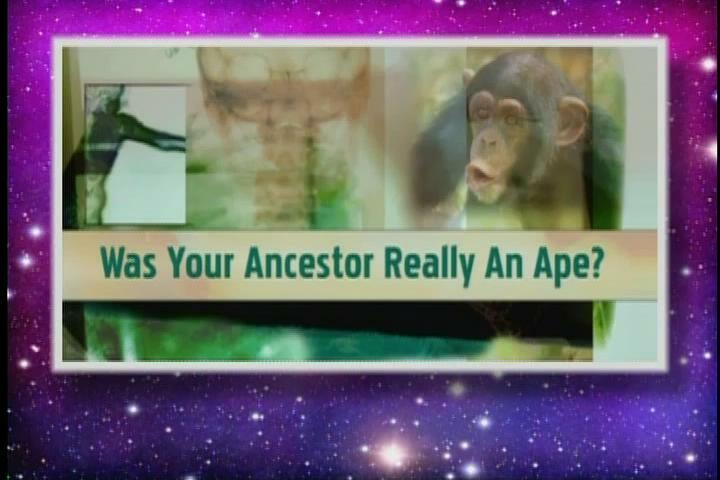 However, looking at the many differences between human and chimp DNA and by comparing the mitochondrial DNA of people worldwide, observational science shows just the opposite. 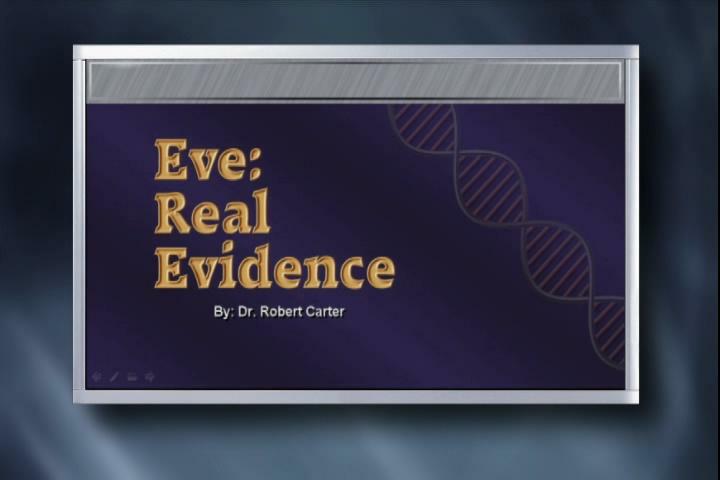 As our guest will reveal, the data supports, not denies, the existence of a literal Adam and Eve! 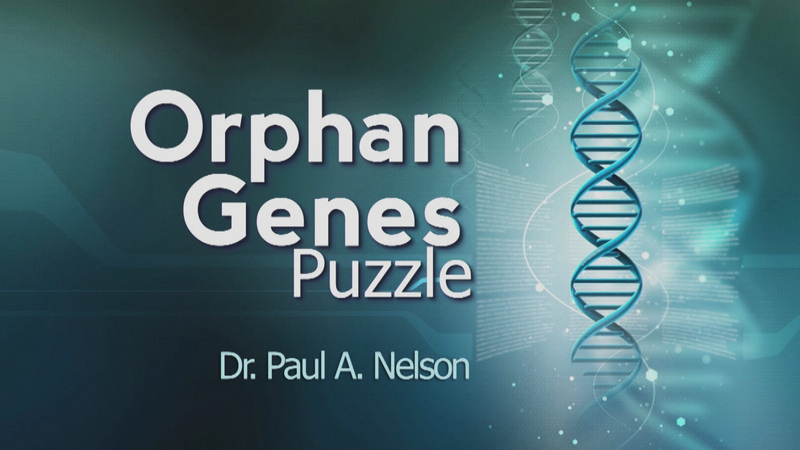 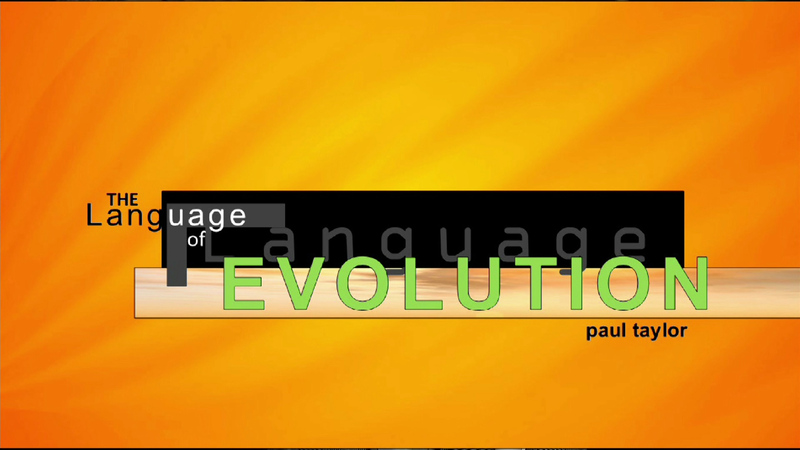 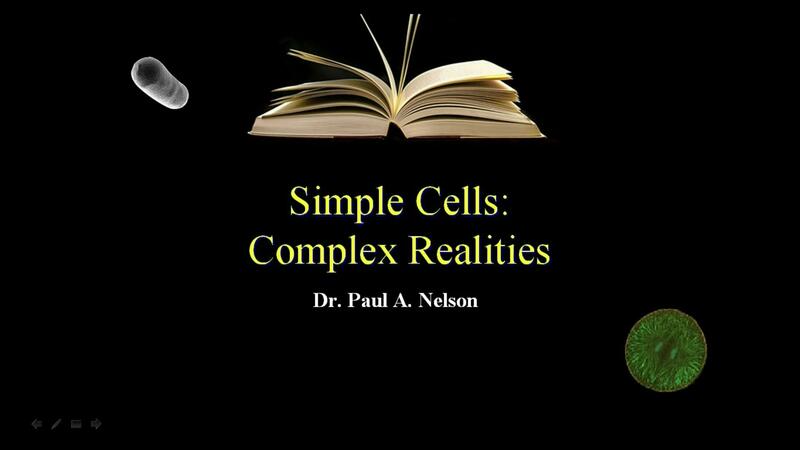 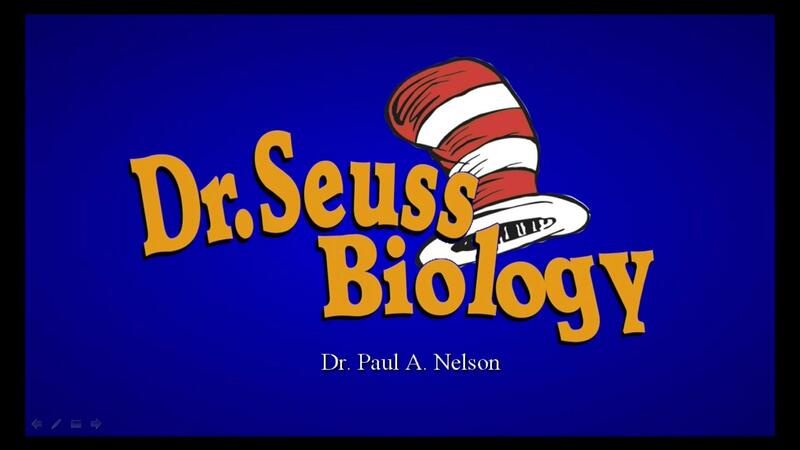 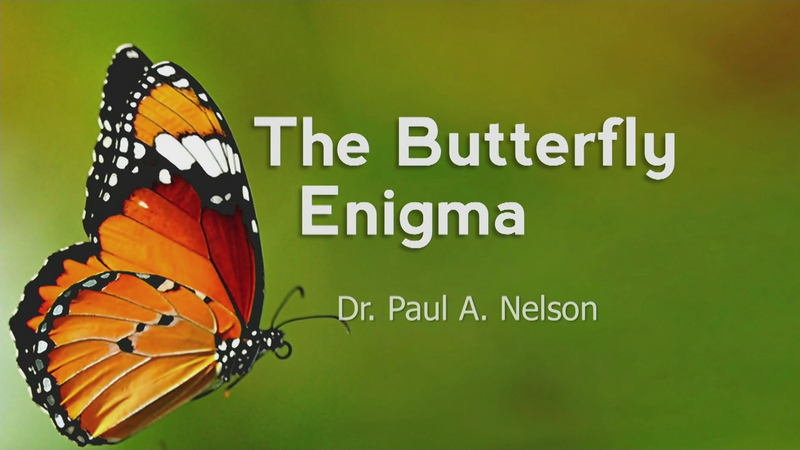 Join Origins host Ray Heiple as he welcomes, Dr. Paul Nelson for, “Orphan Genes Puzzle.” Imagine having to assemble a dictionary of the English language – but every time you open a new book you find words that you’ve never seen before. 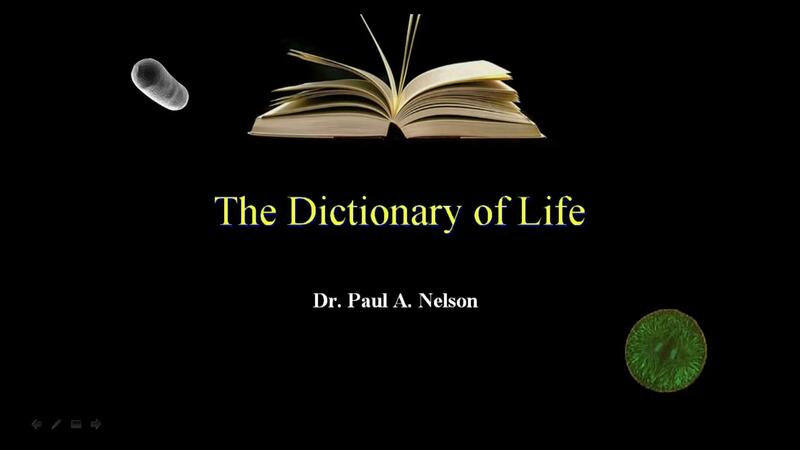 Many of the words are unique, found only in that book, and nowhere else. 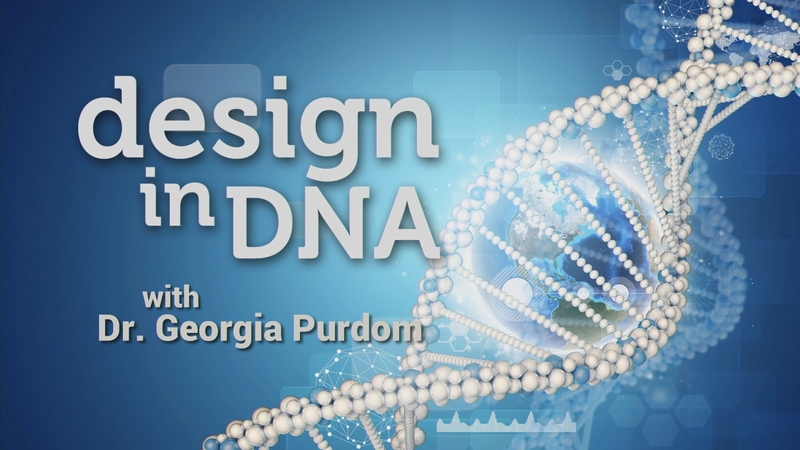 Likewise in genetics, hundreds of thousands of new genes are being discovered by DNA sequencing, and their beginnings are a major puzzle. 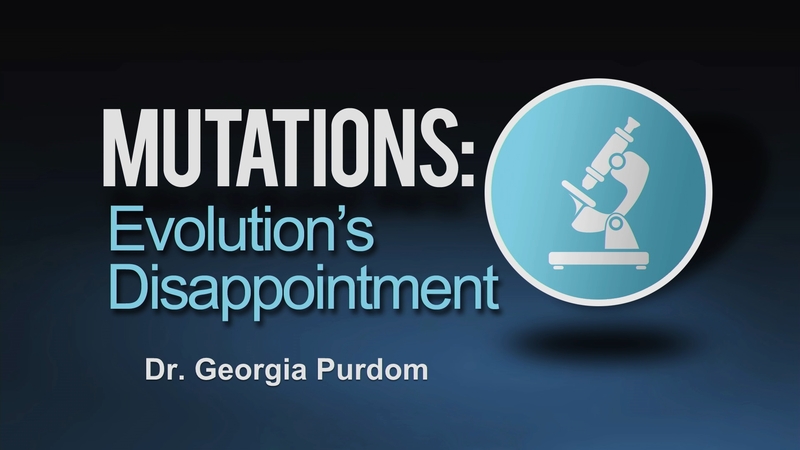 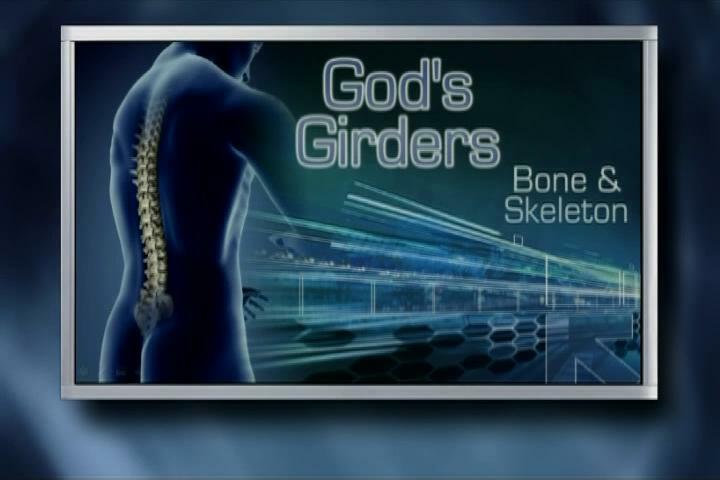 Join Origins host, Ray Heiple as he welcomes, Dr. Georgia Purdom for, “Mutations: Evolution’s Disappointment.” A major mechanism for Darwinian evolution is mutation. 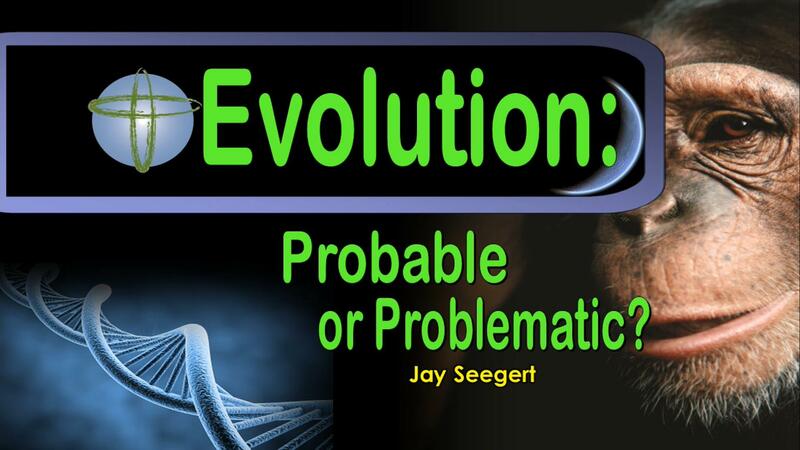 Random chance mutations are necessary to generate the raw material necessary for molecules-to-man evolution. 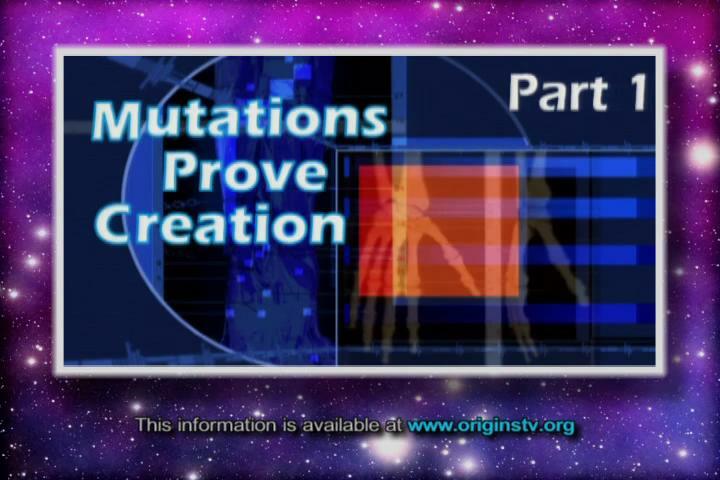 These mutations must be beneficial and lead to the formation of new traits so that one kind of organism over time can evolve into a completely different kind of organism. 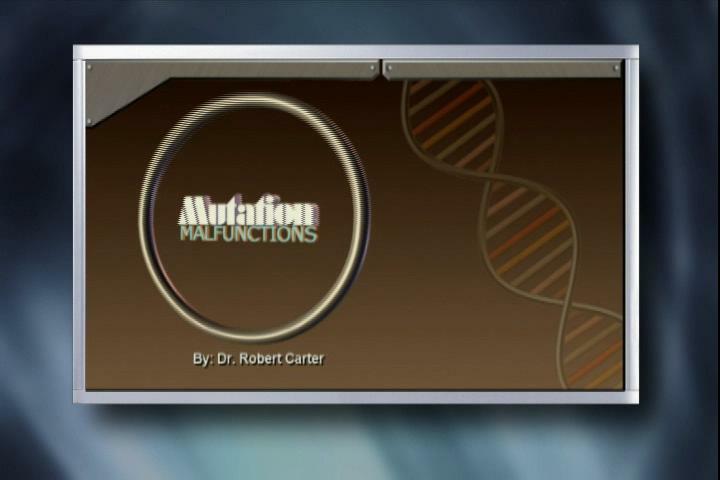 However, mutations have never been observed to do this! 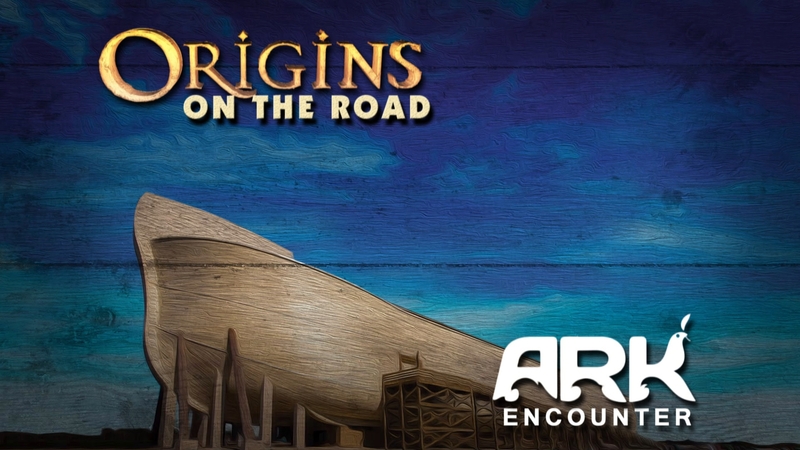 Join Origins host, Dr. Ray Heiple as he goes on the road to the Creation Museum in northern Kentucky for, Why Build an ARK? 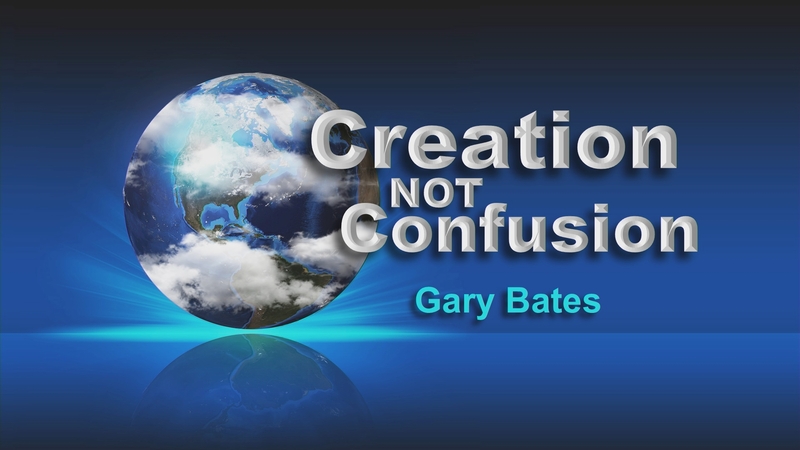 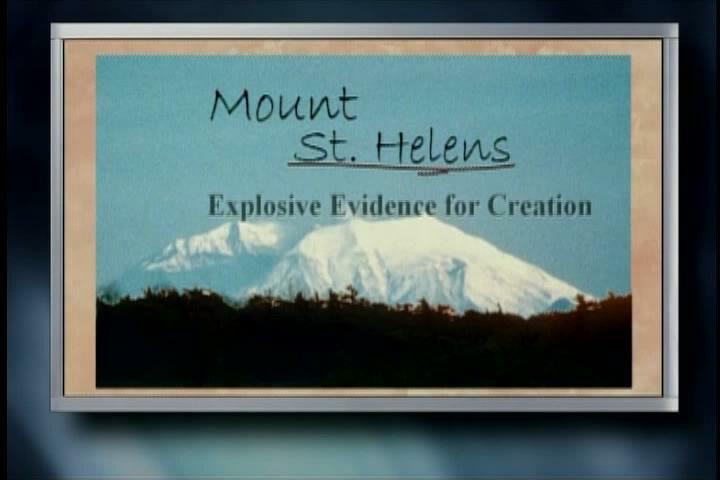 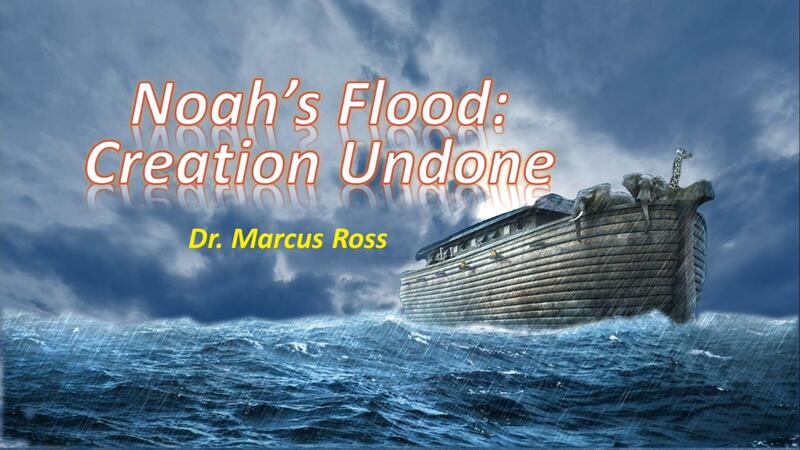 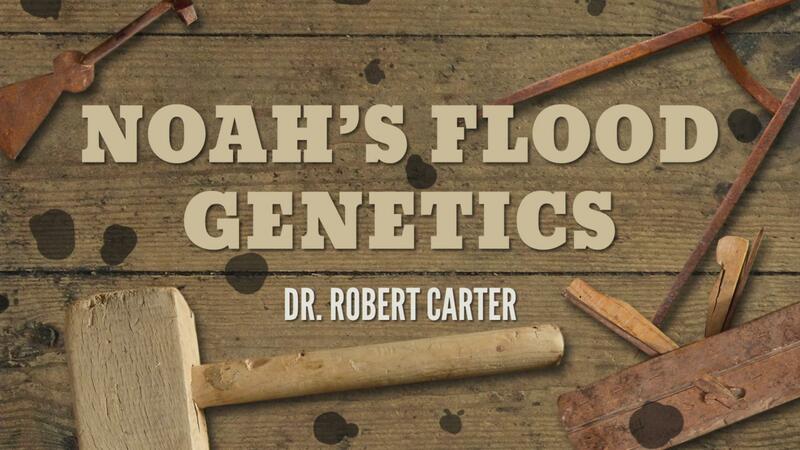 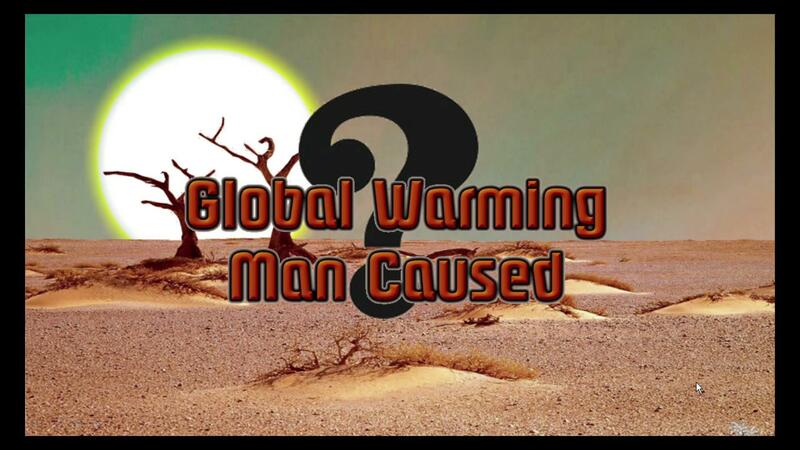 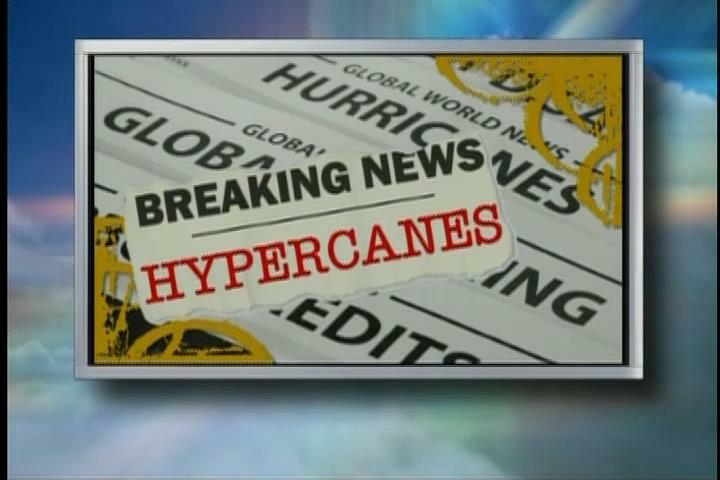 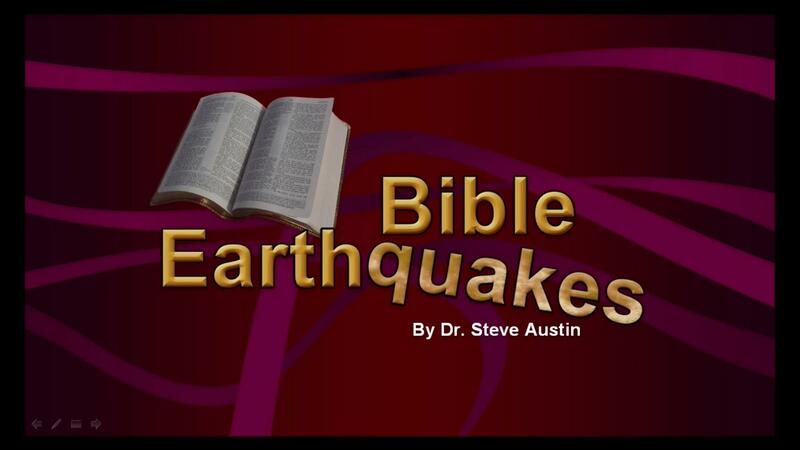 His guest will be Ken Ham, president & CEO of Answers in Genesis. 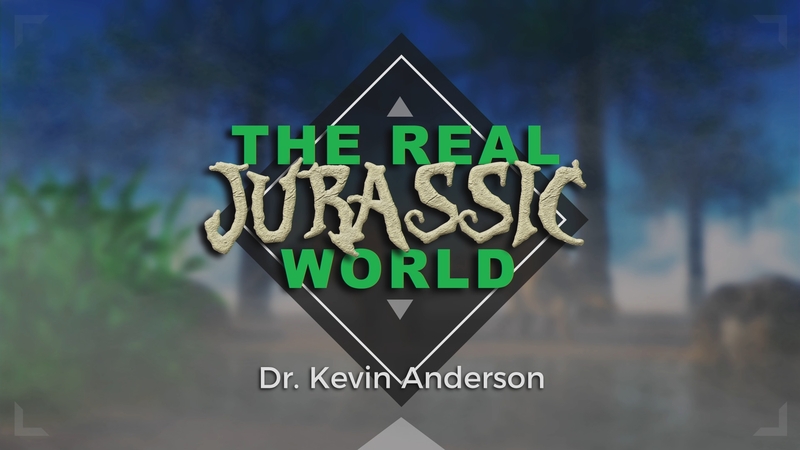 In a unique setting in legacy hall, he will explain the ministry’s goals for building the Ark Encounter. 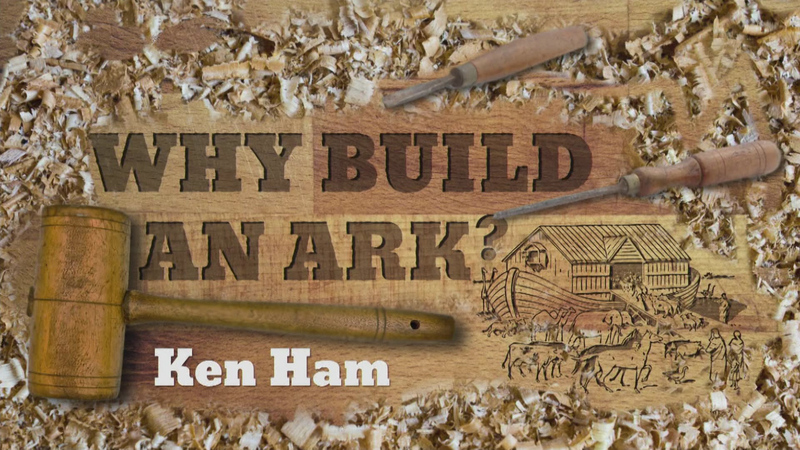 Ken also shares some insights into what’s happening in our culture that makes this modern day version of Noah’s Ark so important. 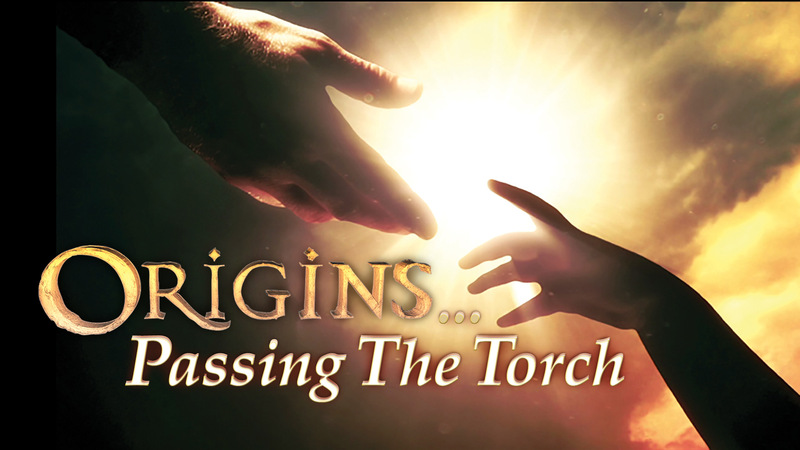 So don’t miss this special edition of Origins on the road! 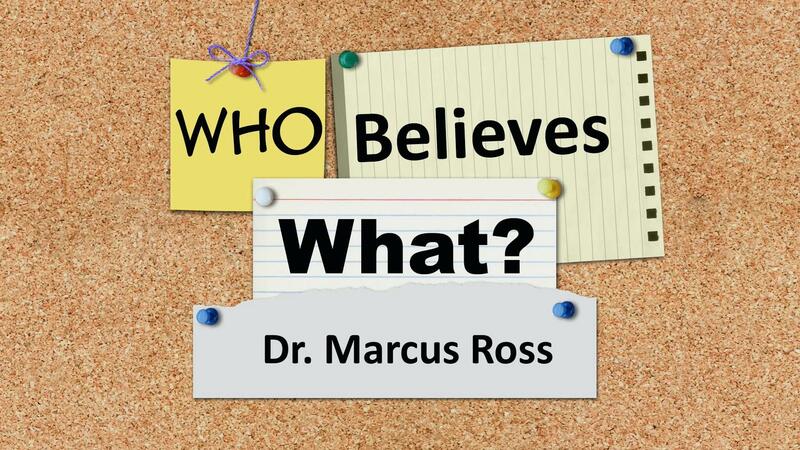 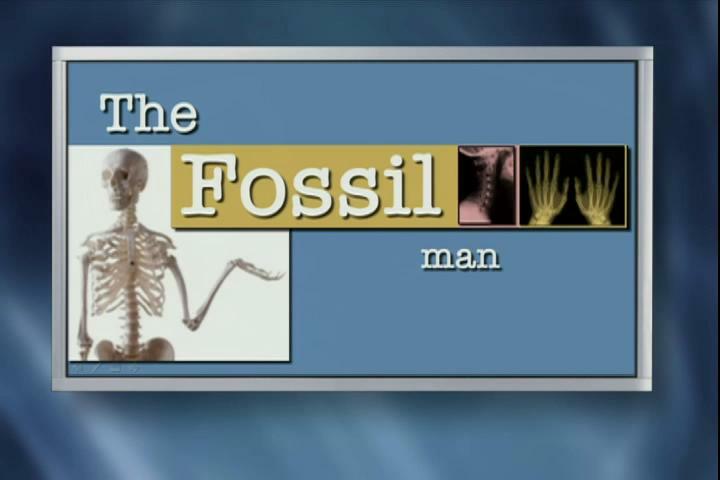 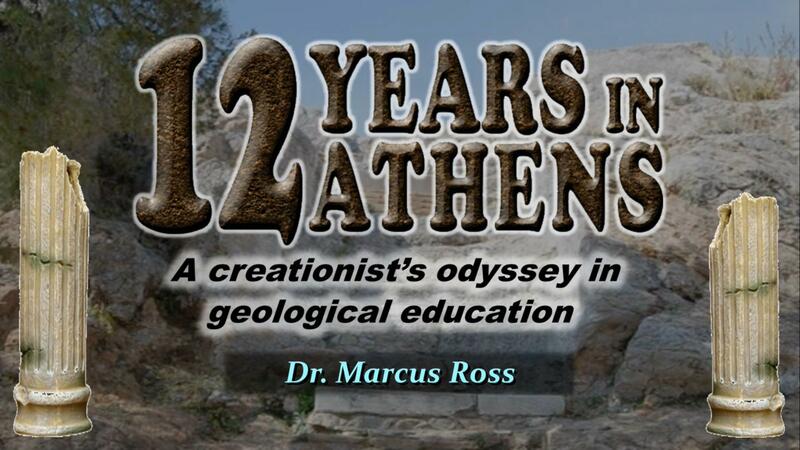 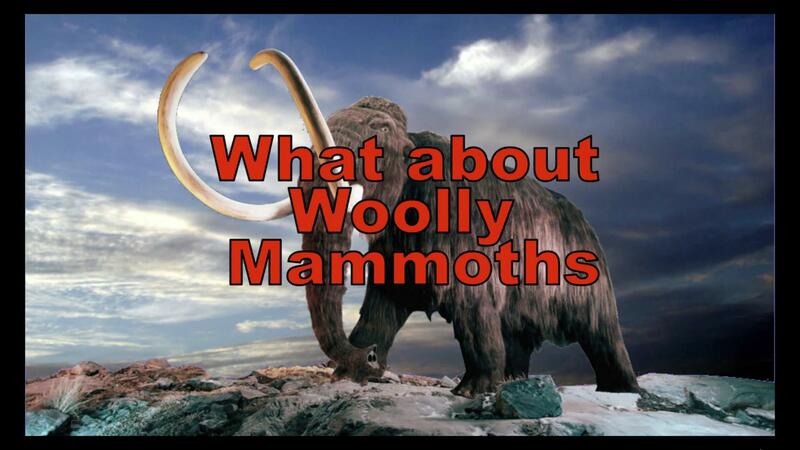 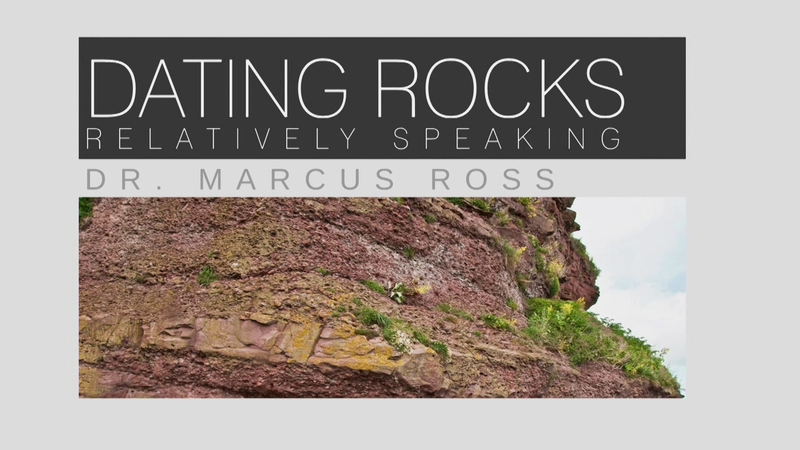 Join Origins host Donn Chapman as he welcomes geologist and paleontologist Dr. Marcus Ross for, “Who Believes What?” Today there are so many different views on our human Origins it’s confusing. 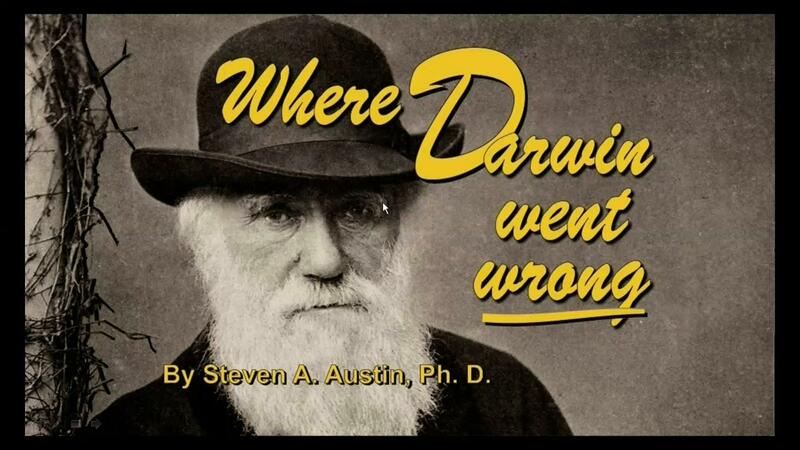 Worse, some authors and speakers intentionally mix different views and treat them as the same. 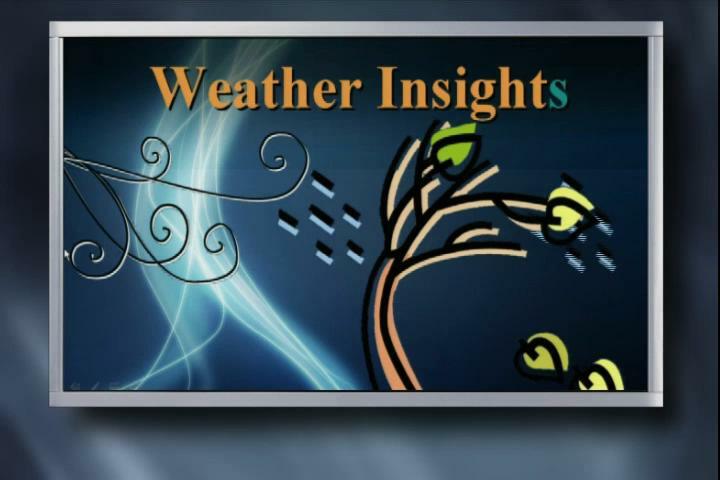 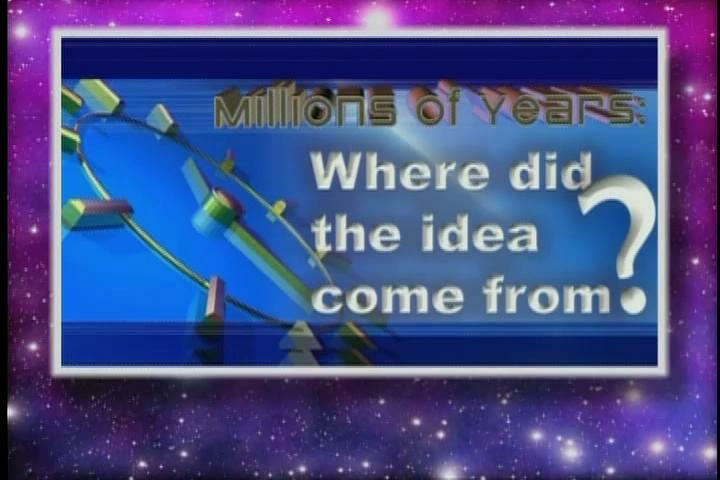 Our guest shows that if you ask the right questions, then the answers to who believes what are very clear indeed. 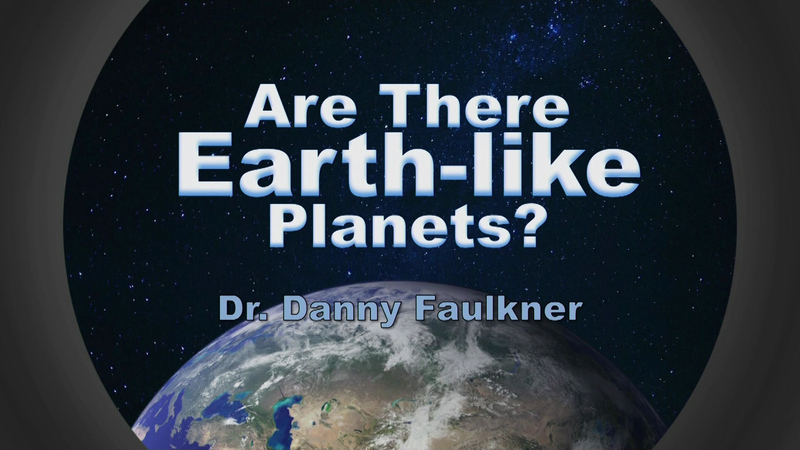 Join Origins host Donn Chapman as he welcomes scientist and astronomer, Dr. Danny Faulkner for, “Are There Earth-like Planets?” If evolution were true, you wouldn’t expect life to be unique to the Earth. 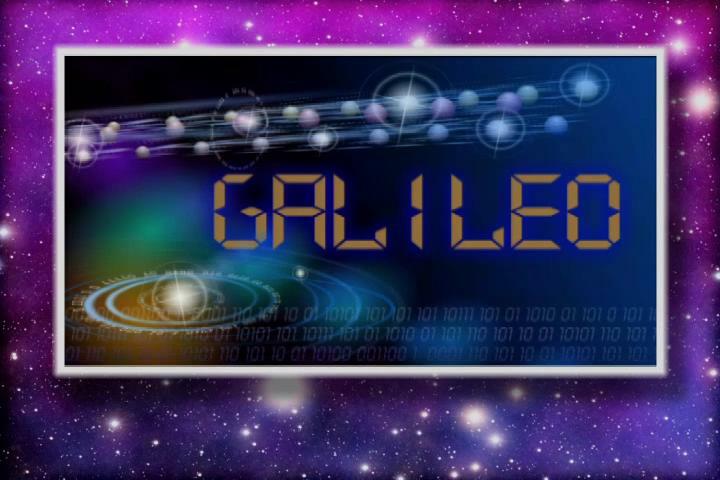 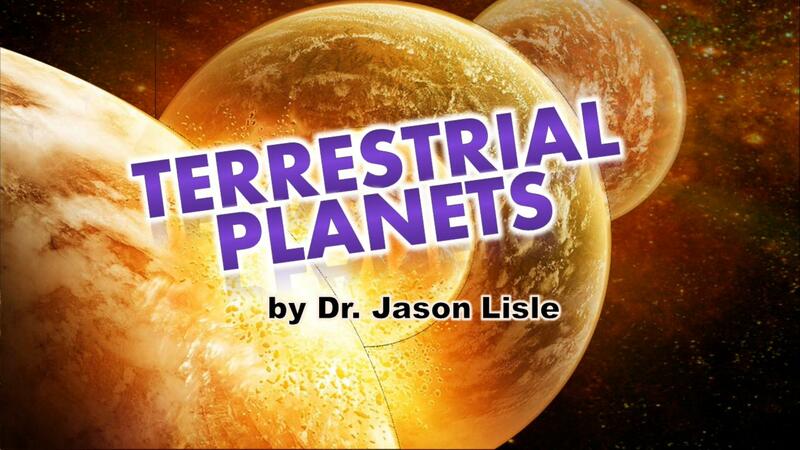 But alien life would require planets to live on, so astronomers have searched for planets that orbit other stars. 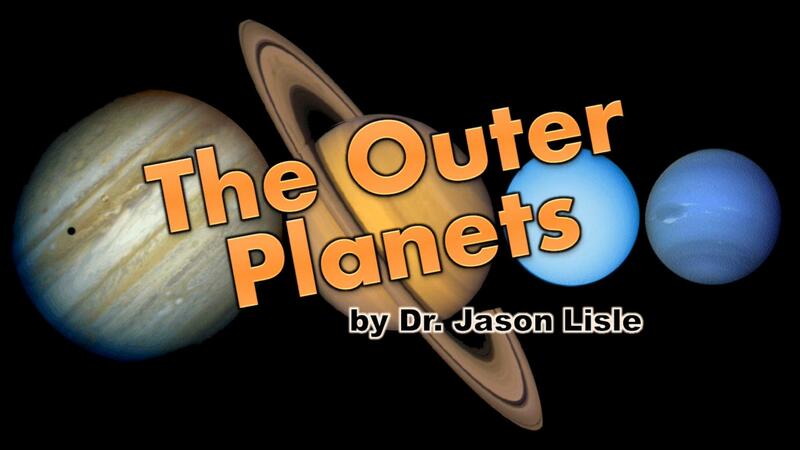 So far they have identified about 2,000 extrasolar planets. 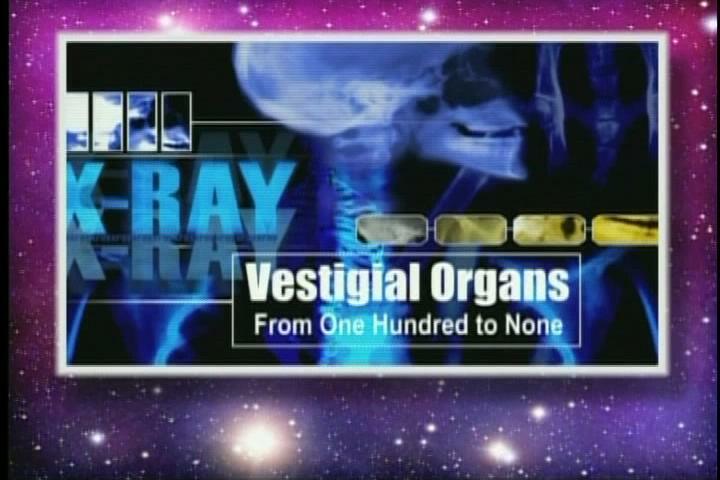 But how many of these are hospitable to life? 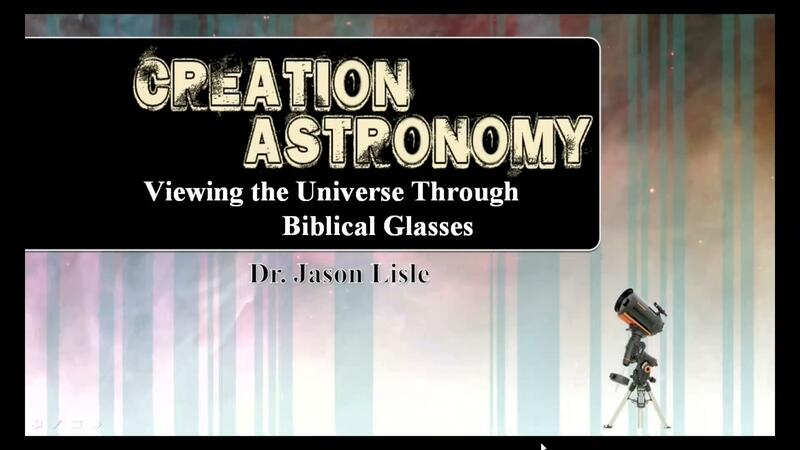 Join Origins host Donn Chapman as he welcomes astronomer and astrophysicist, Dr. Jason Lisle for, Big Problems with the Big Bang. 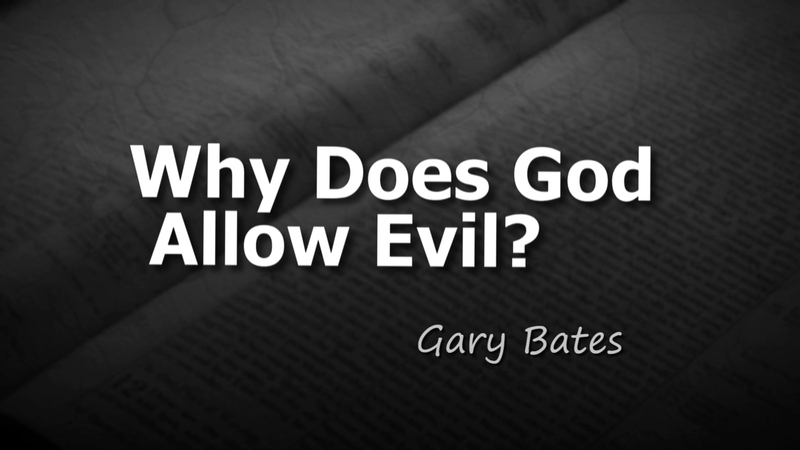 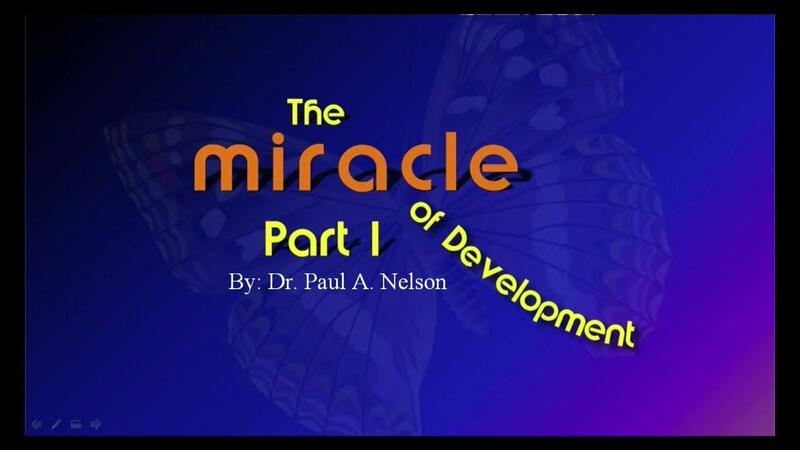 Many Christians try to reconcile this theory with God’s Word, often it doesn’t work. 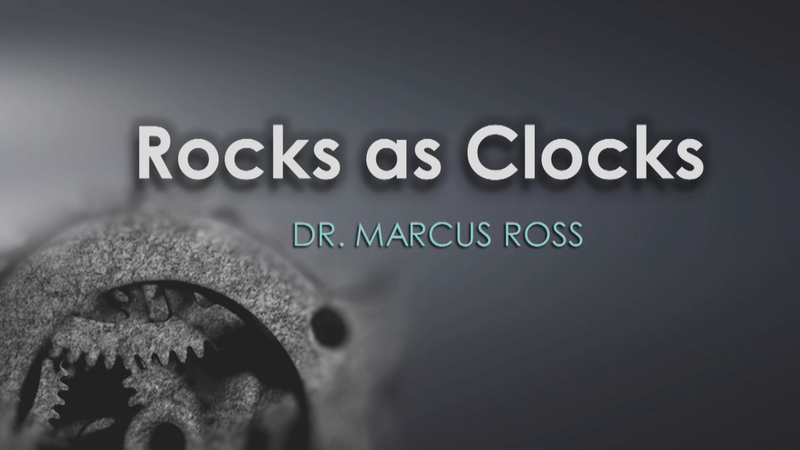 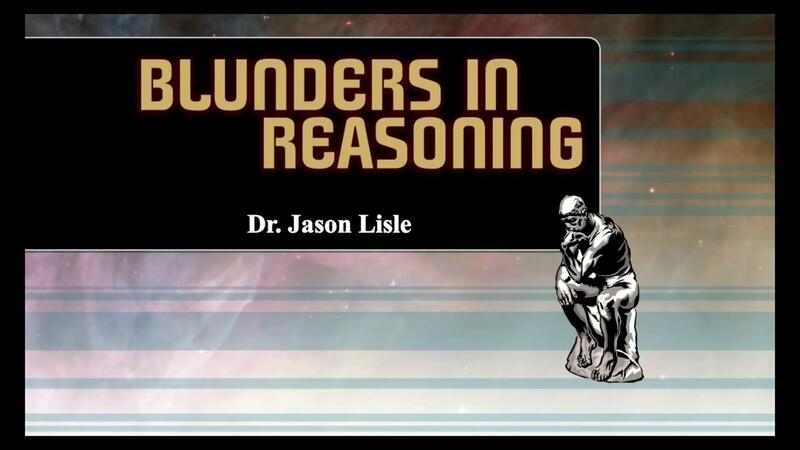 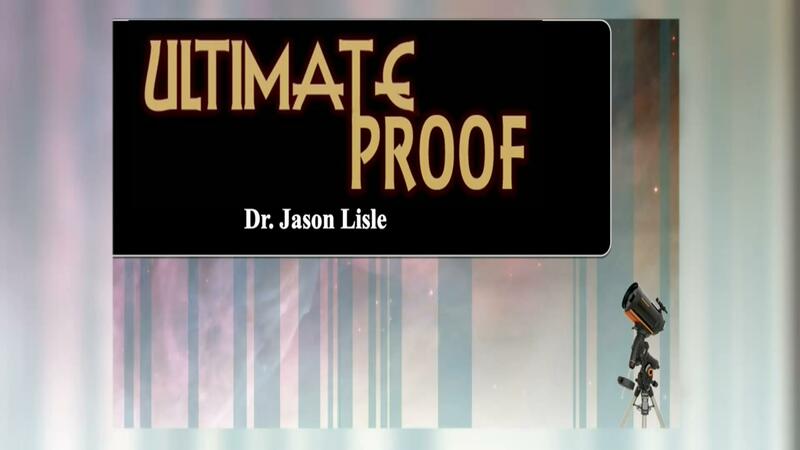 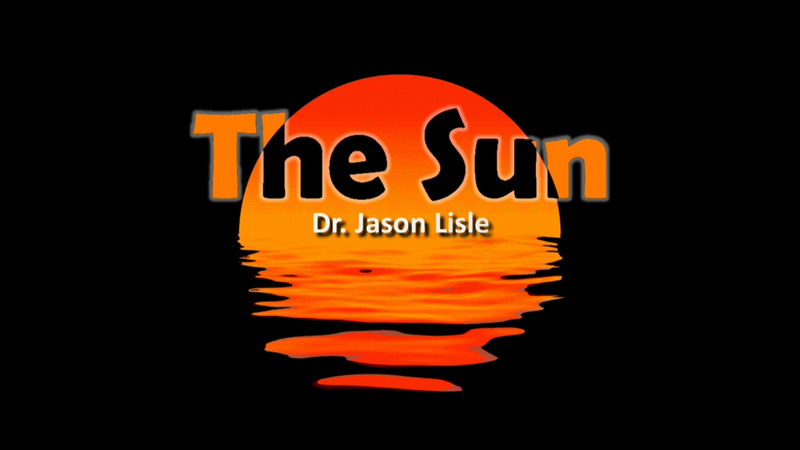 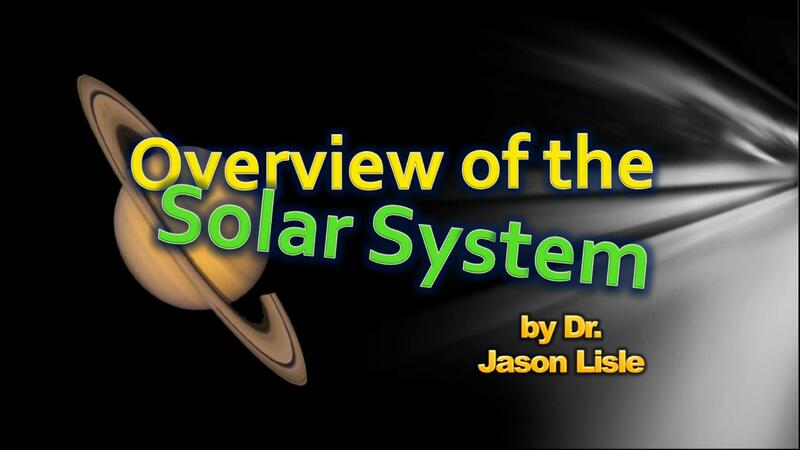 Dr. Jason Lisle uses scientific evidence to dispute this popular theory, and shows us issues that it simply can’t explain. 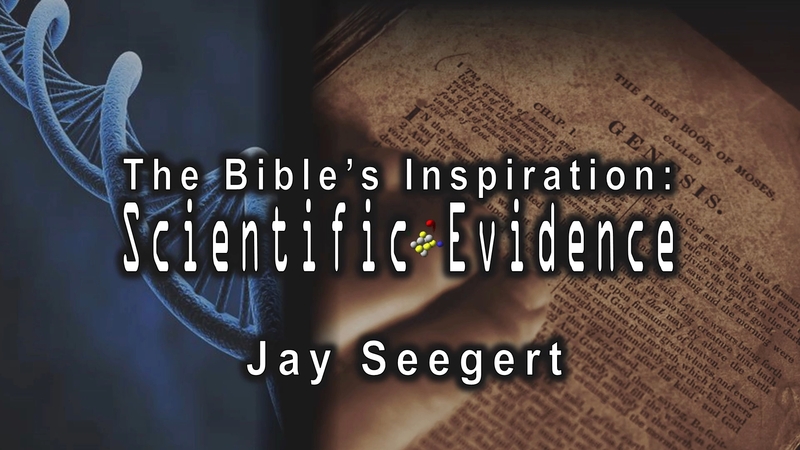 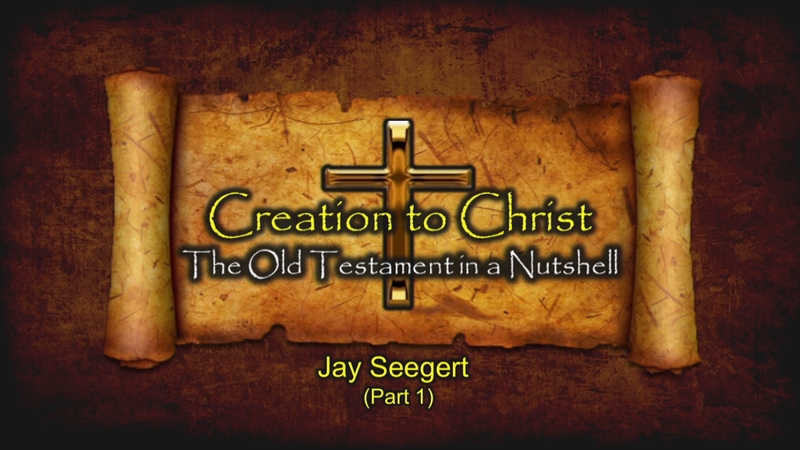 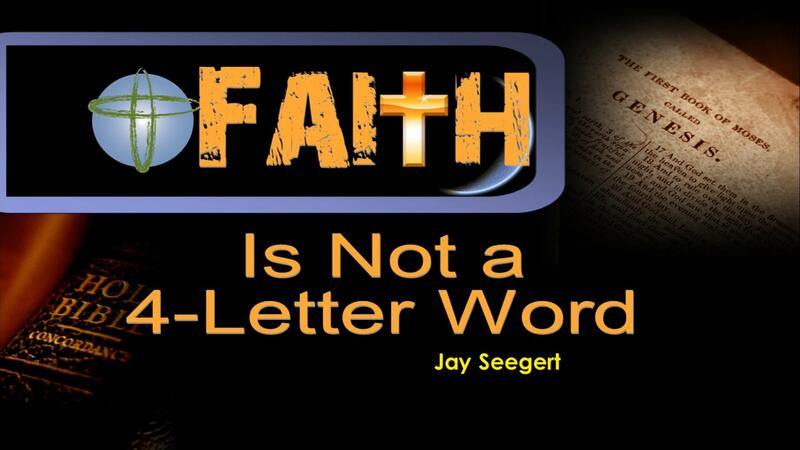 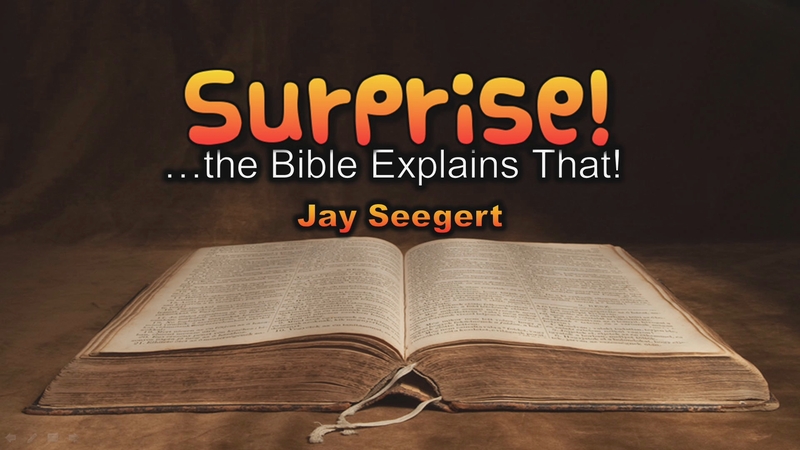 Join Origins host Donn Chapman as he welcomes Jay Seegert for, Faith is Not a 4-Letter Word. 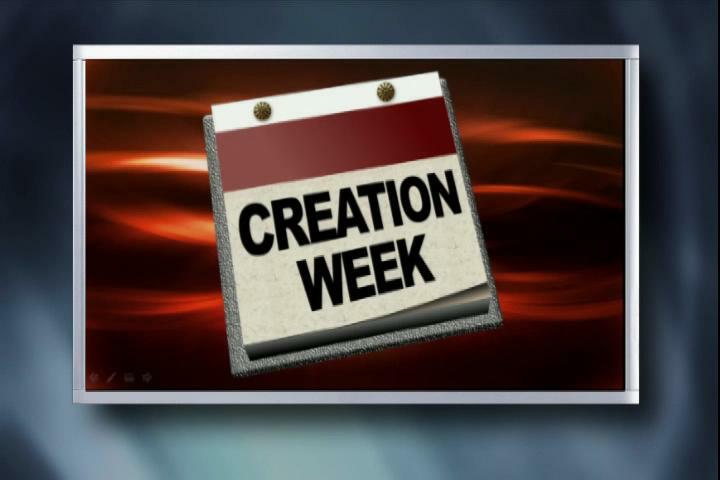 It’s alarming that over two-thirds of Christian students walk away from their faith in college! 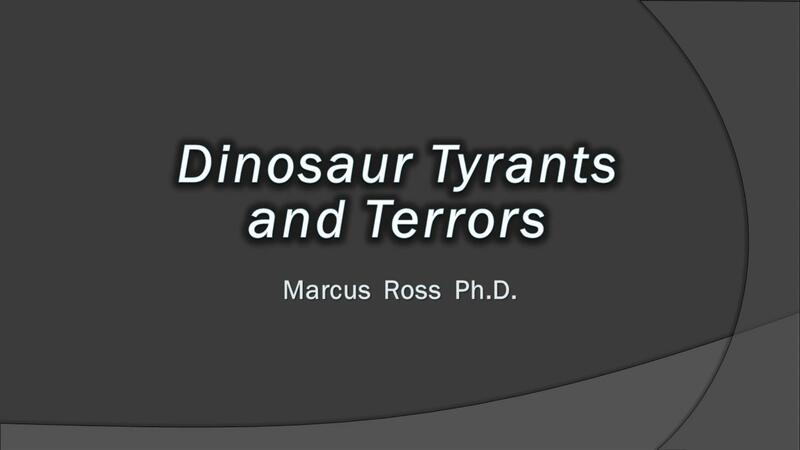 Why is this happening and what can we do? 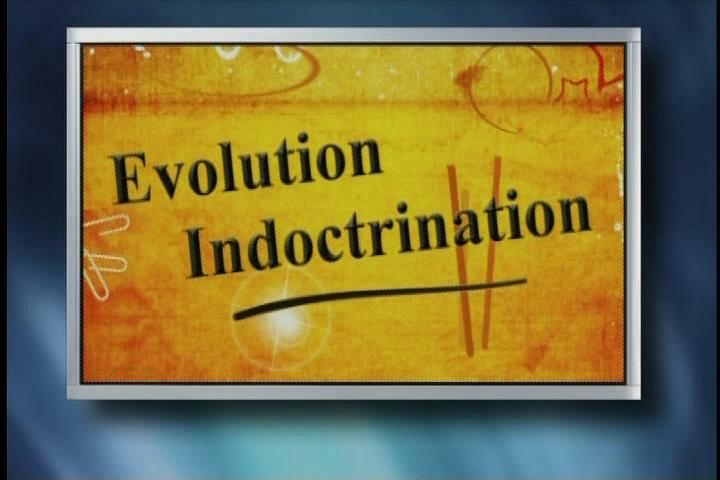 Today’s show exposes the real issues, and proves that college itself is not the root of the problem. 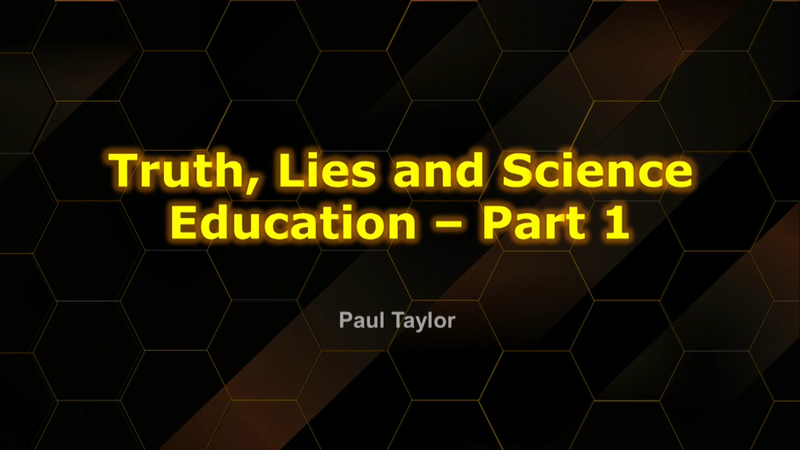 This discussion will help prepare students for the many challenges they are facing, without being intimidated by the thought of higher education. 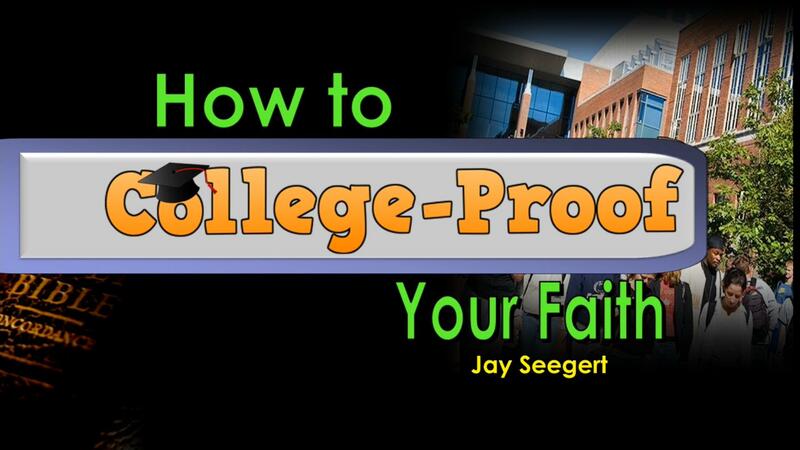 Join Origins host Donn Chapman as he welcomes Jay Seegert for, How to College Proof your Faith. 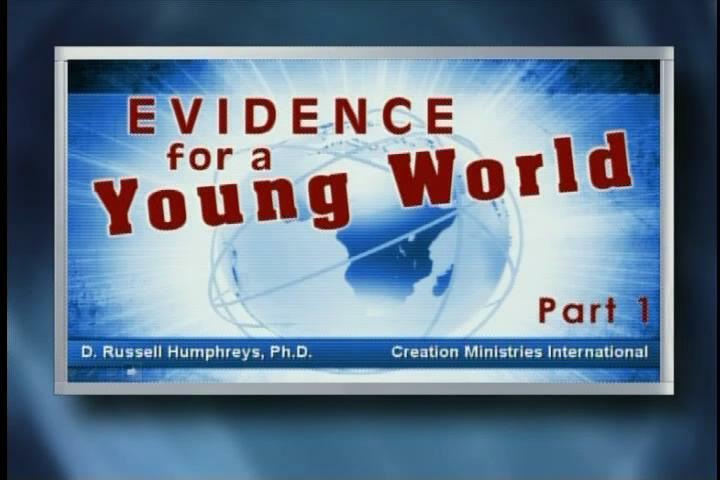 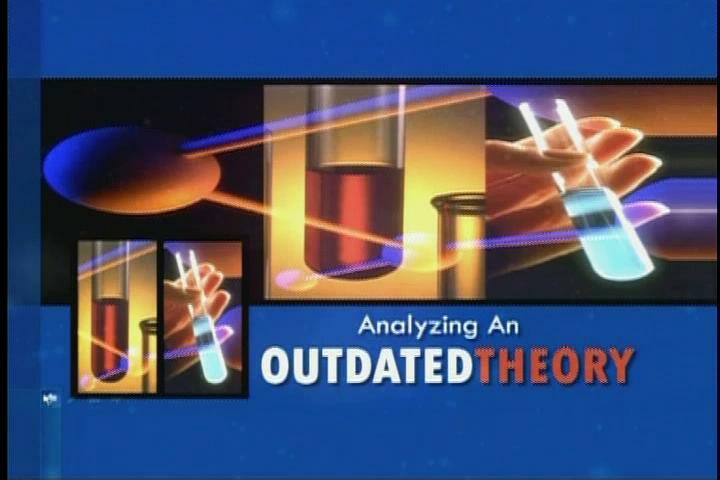 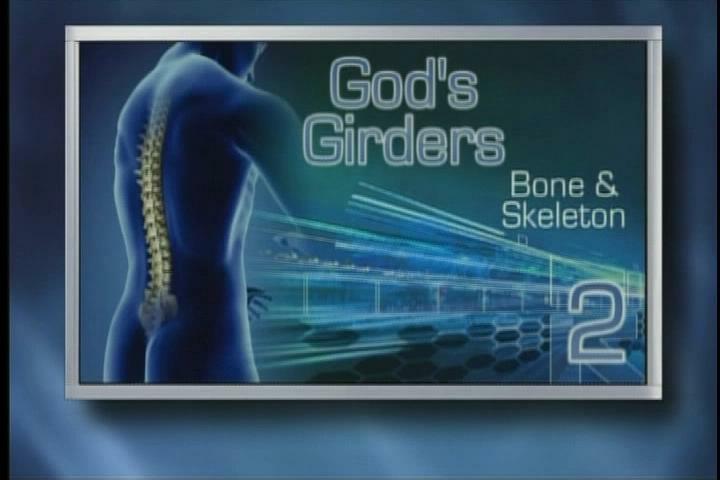 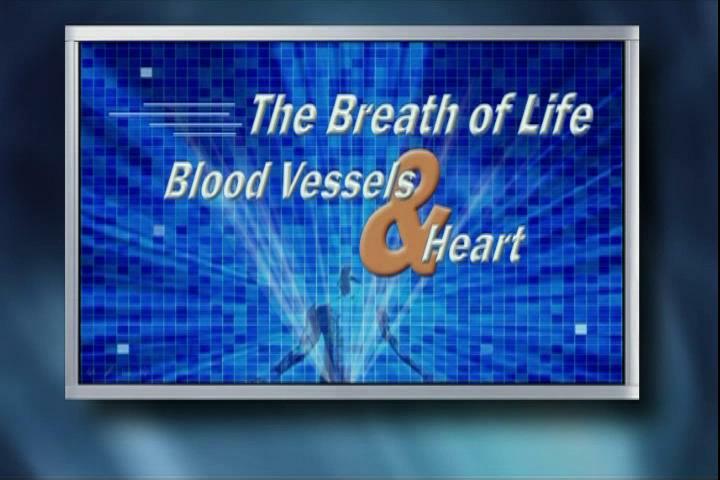 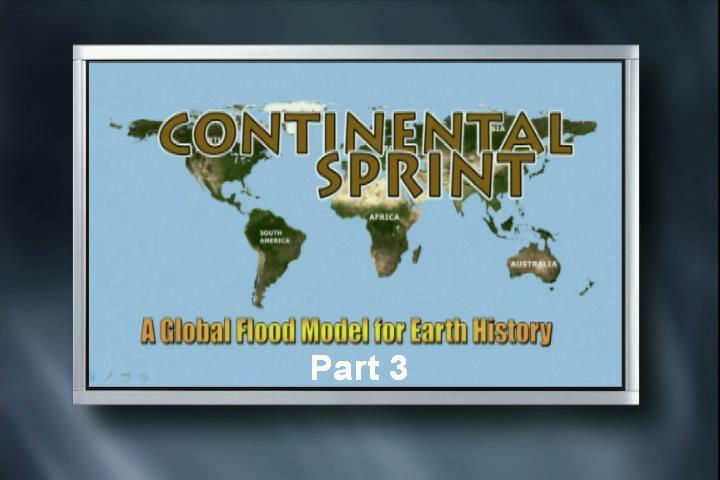 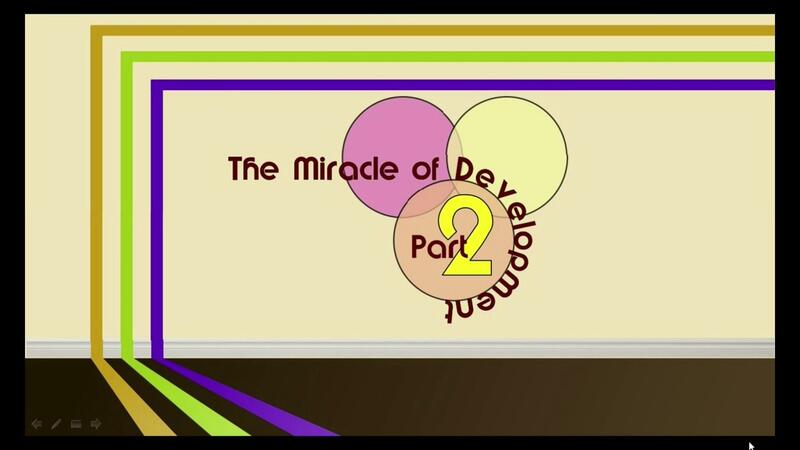 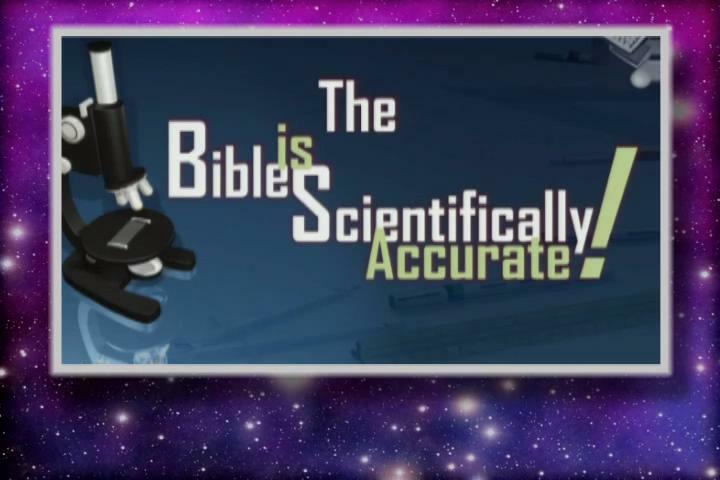 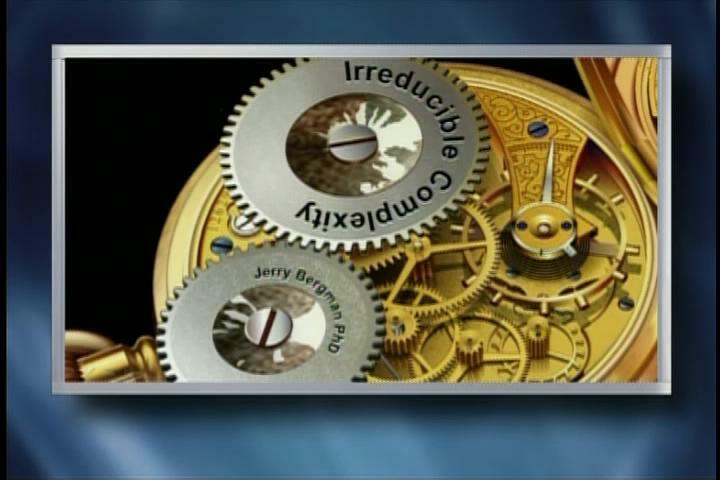 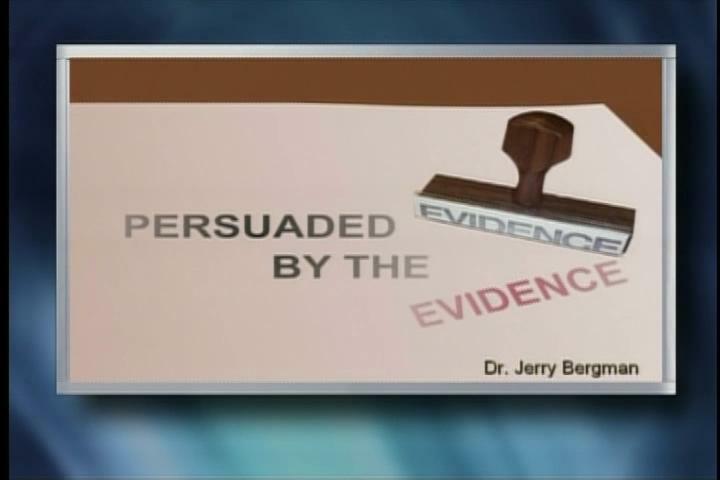 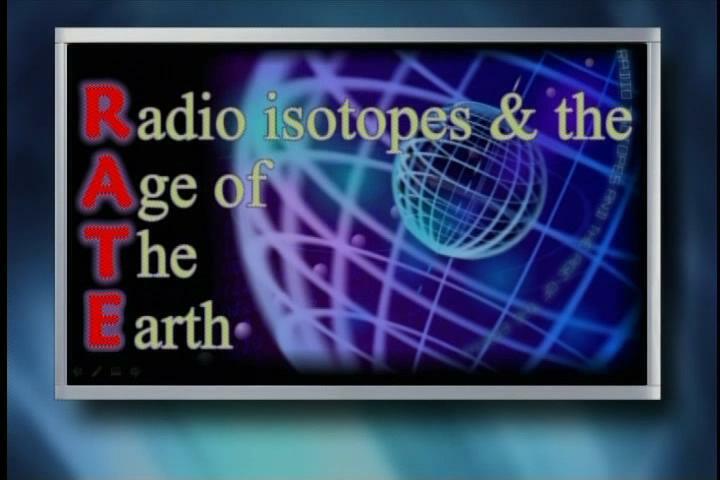 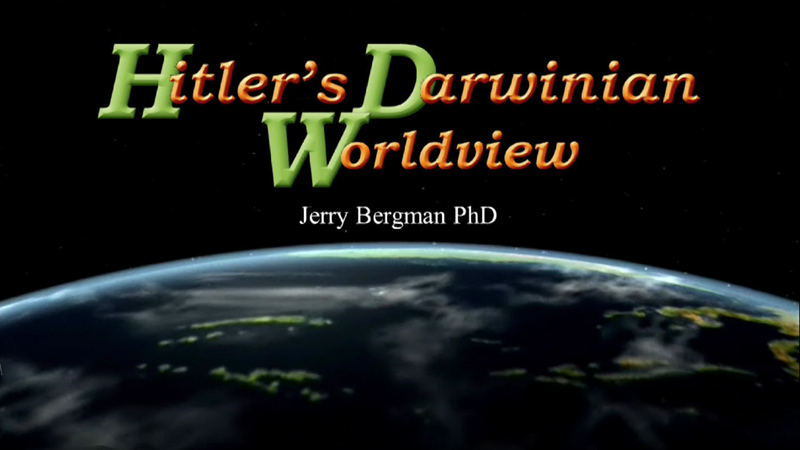 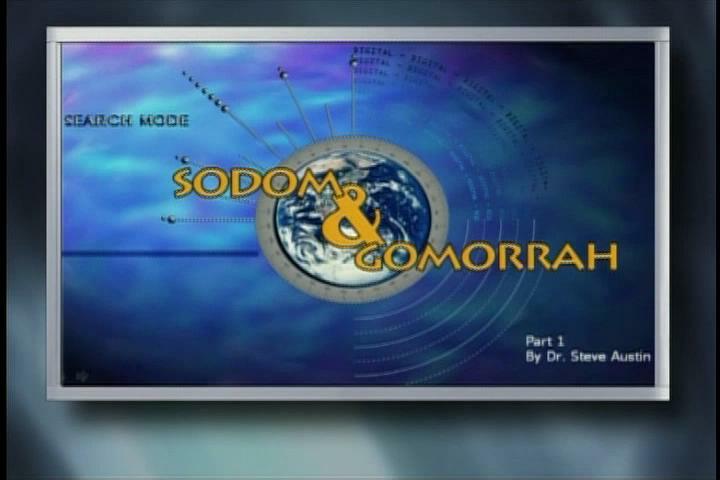 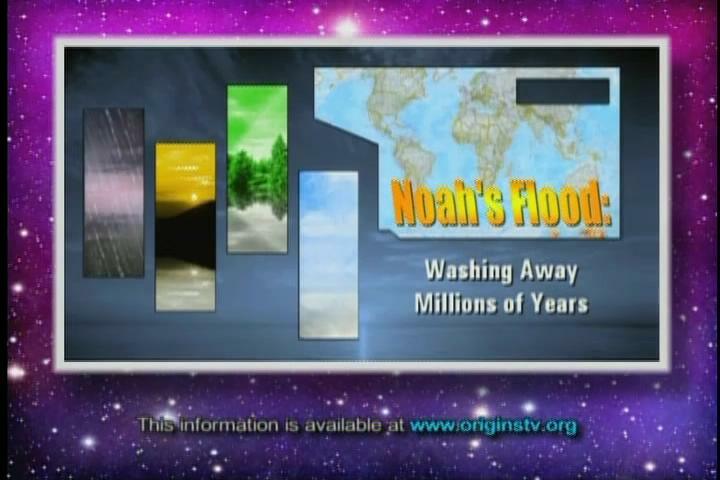 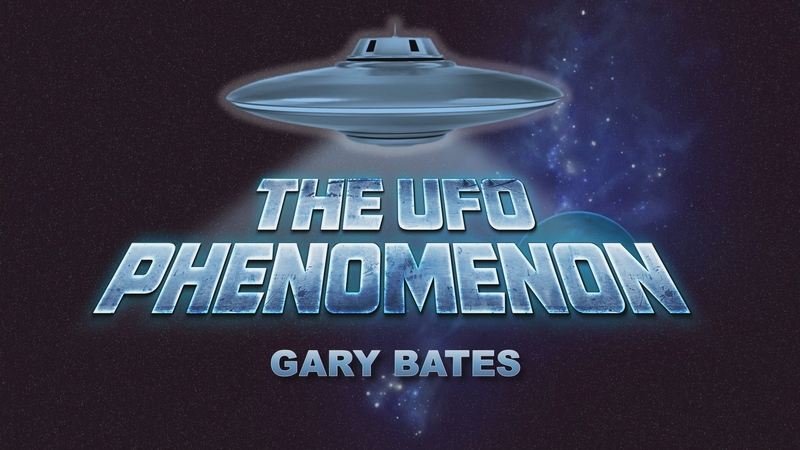 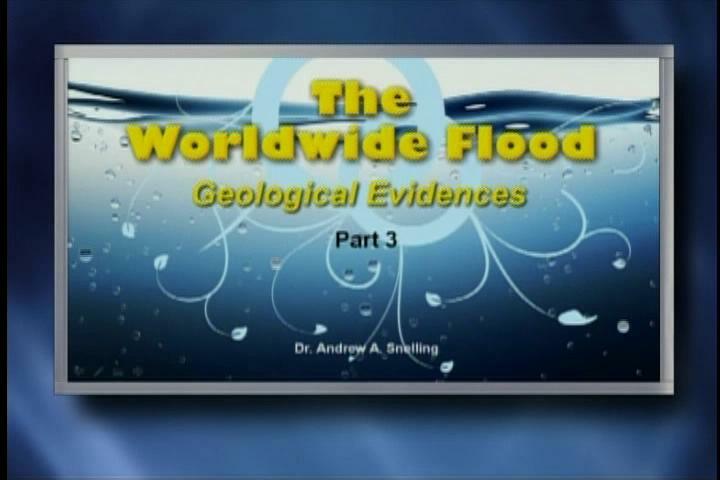 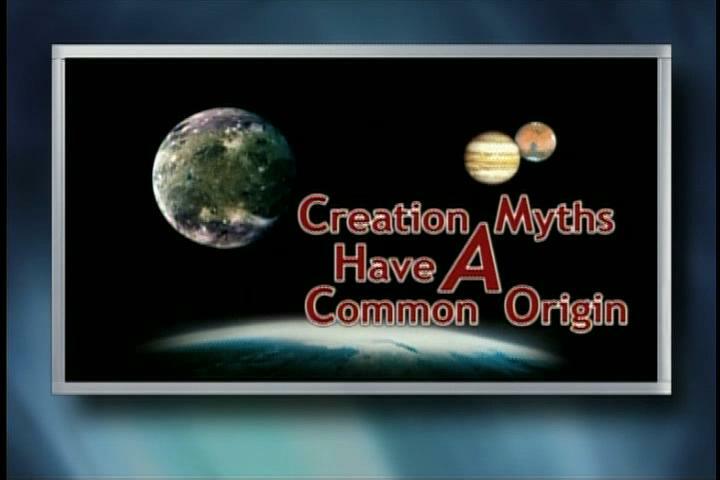 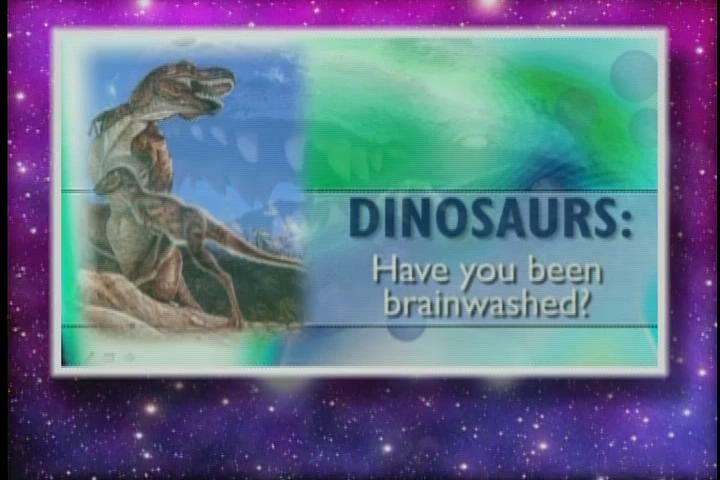 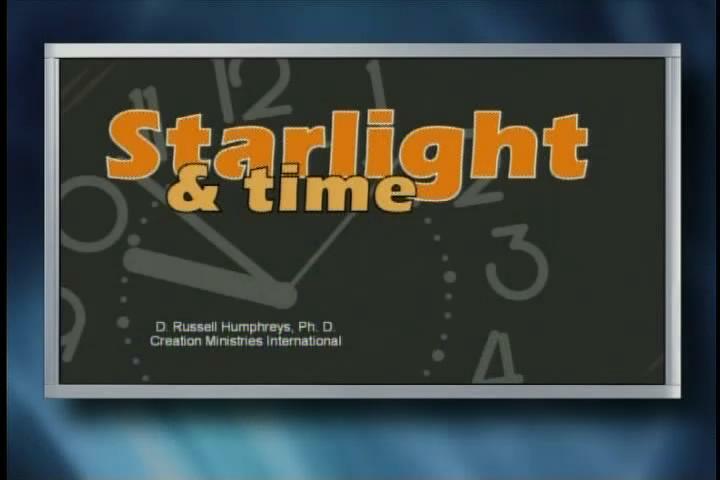 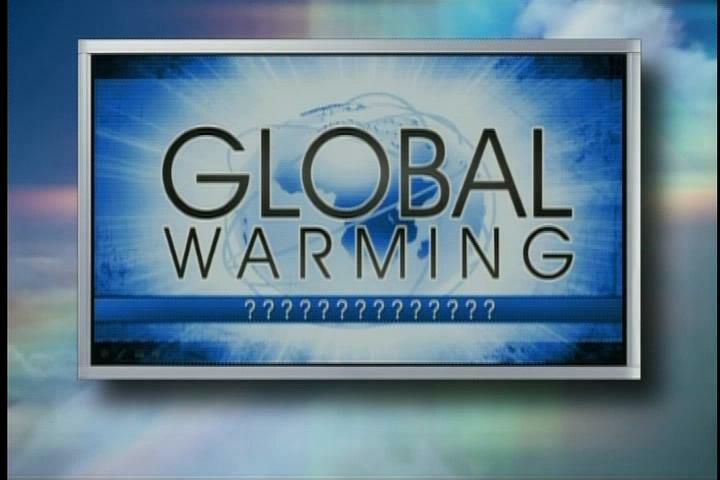 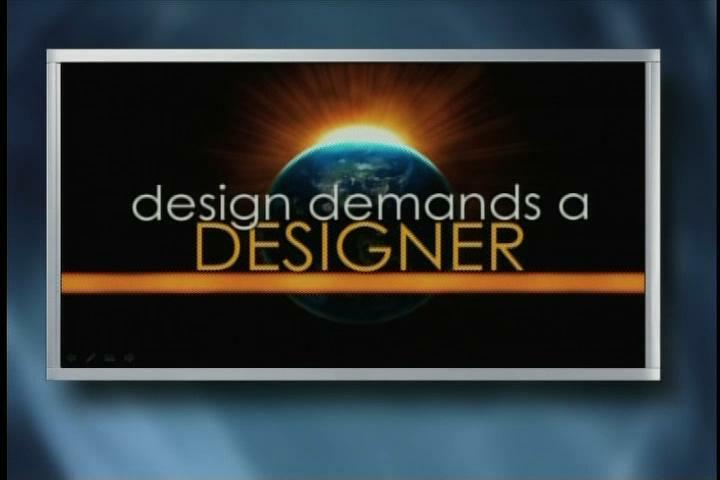 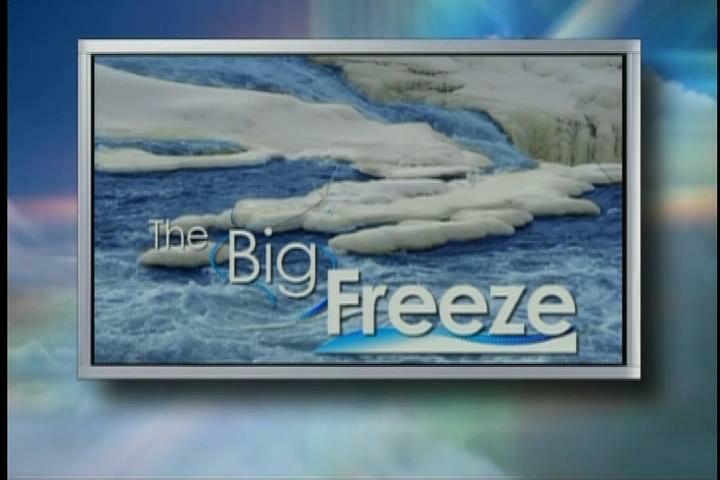 It seems skeptics base their beliefs on “facts”, while Christian “faith” is seen as nothing more than fairytales… or as Mark Twain stated, “Faith is believing in what you know ain’t so!” This show demonstrates just how incorrect this view is, and it also equips believers to share and defend their faith without having a degree in science. 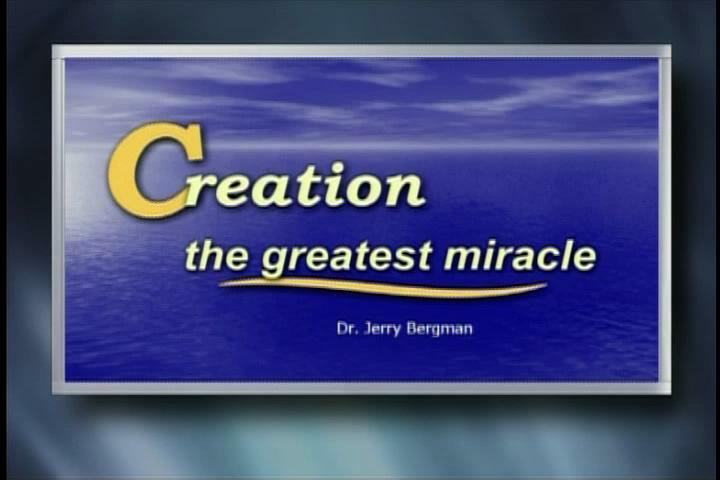 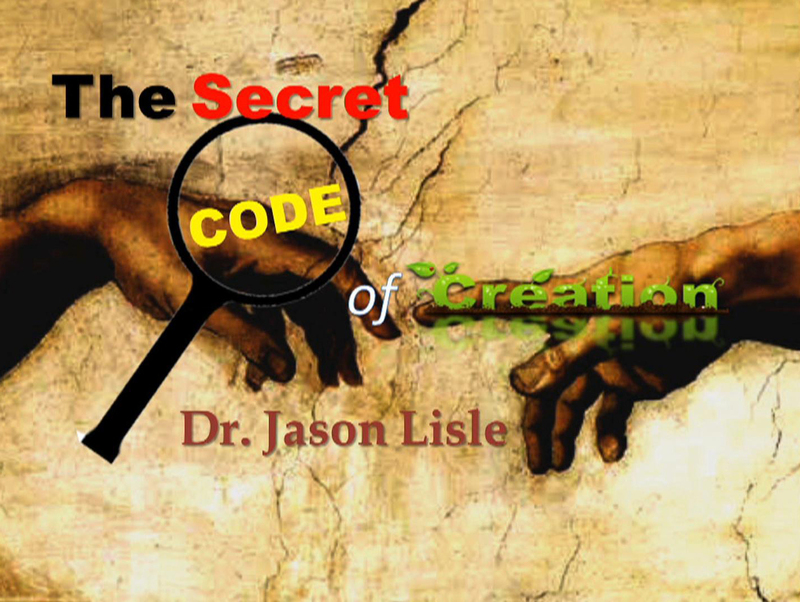 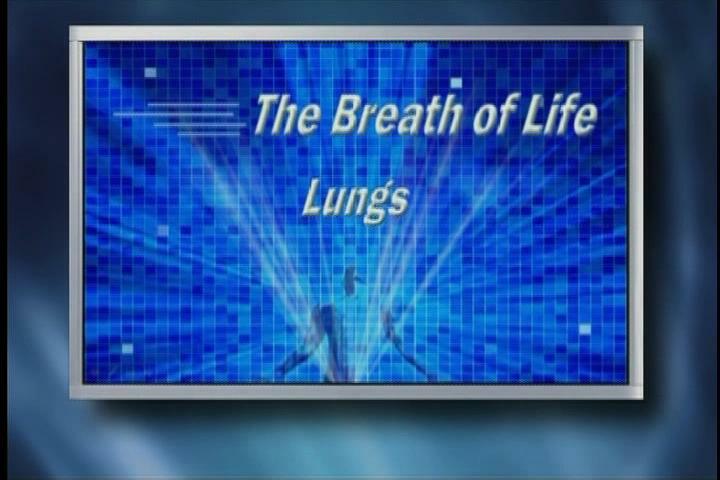 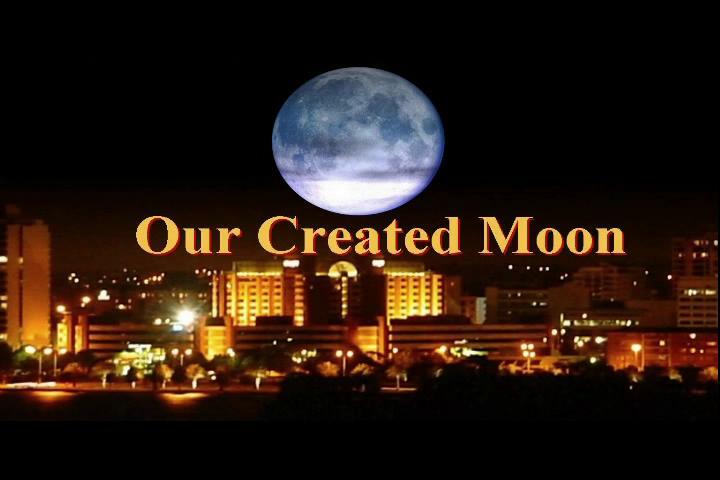 Join Origins host Donn Chapman as he welcomes Dr. Jason Lisle for, The Secret Code of Creation. 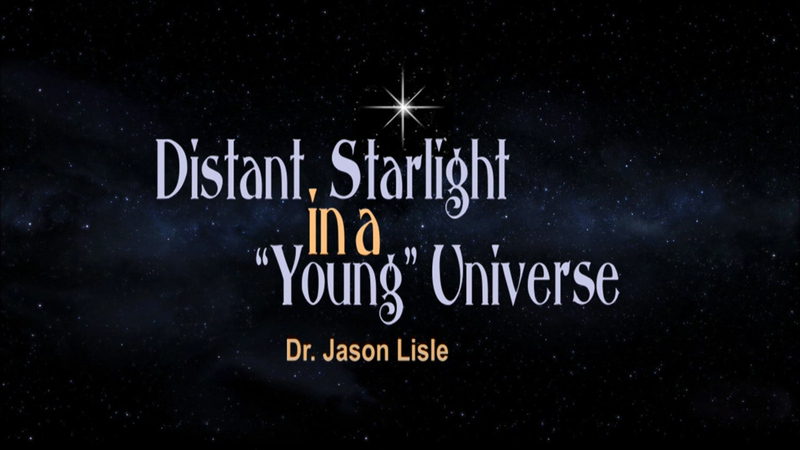 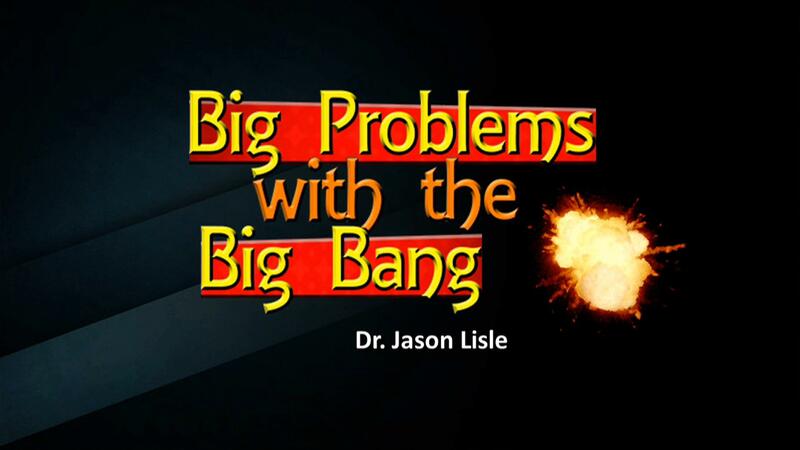 Join Origins host Donn Chapman as he welcomes Dr. Jason Lisle for, Big Problems with the Big Bang. 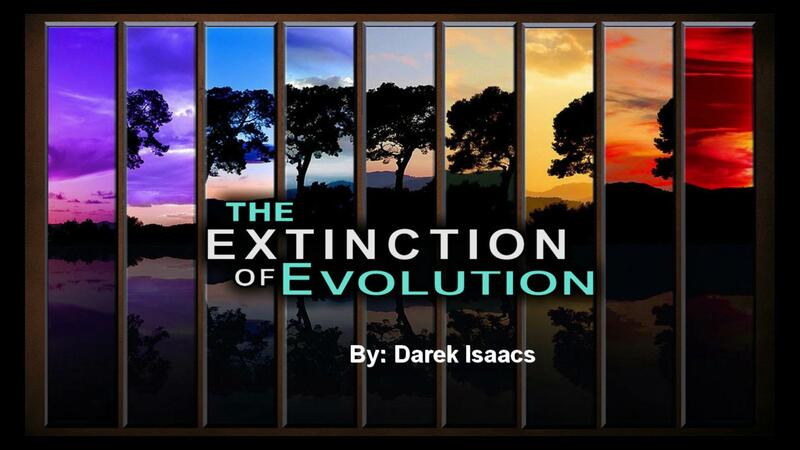 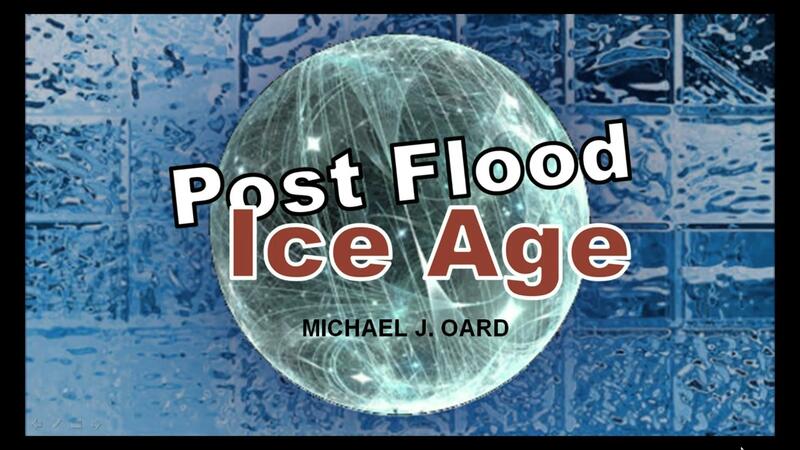 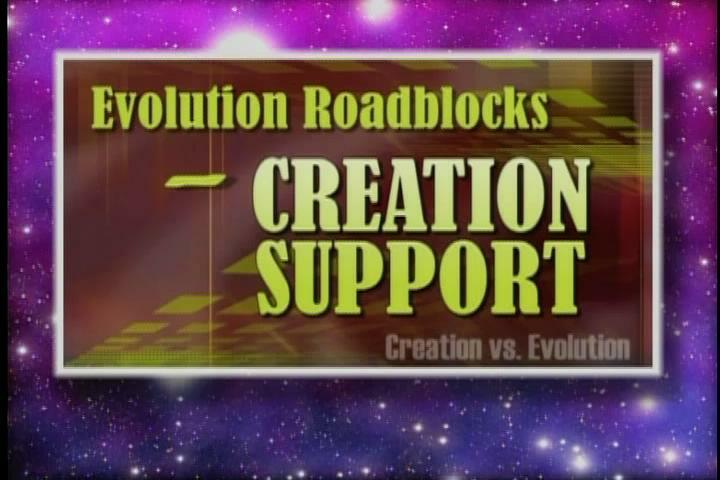 Join Origins host Donn Chapman as he welcomes Darek Isaacs for, The Extinction of Evolution. 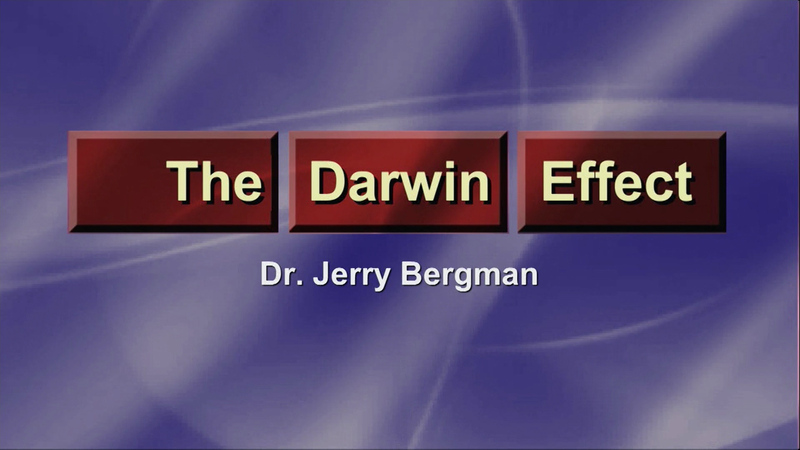 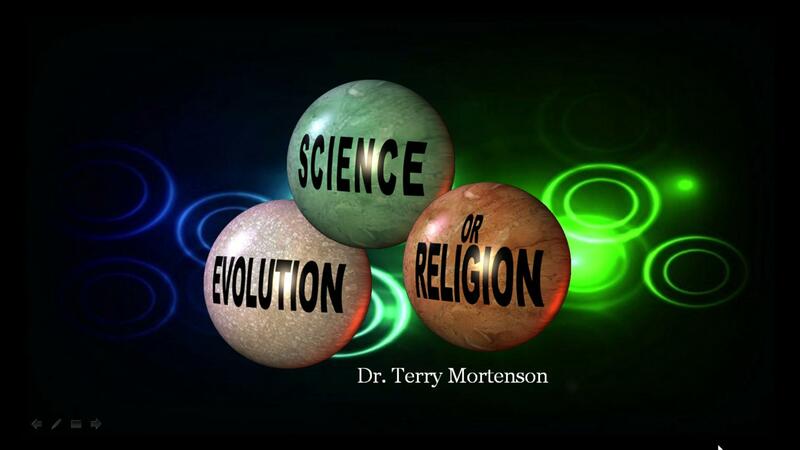 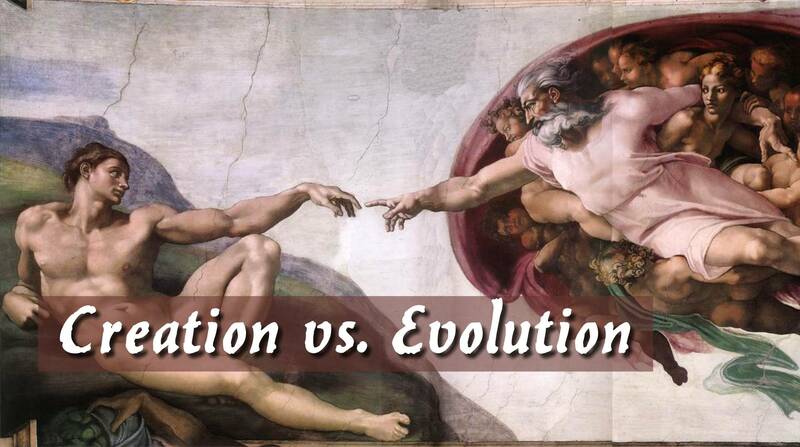 Join Origins host Donn Chapman as he welcomes Dr. Terry Mortenson for, Evolution, Science, or Religion? 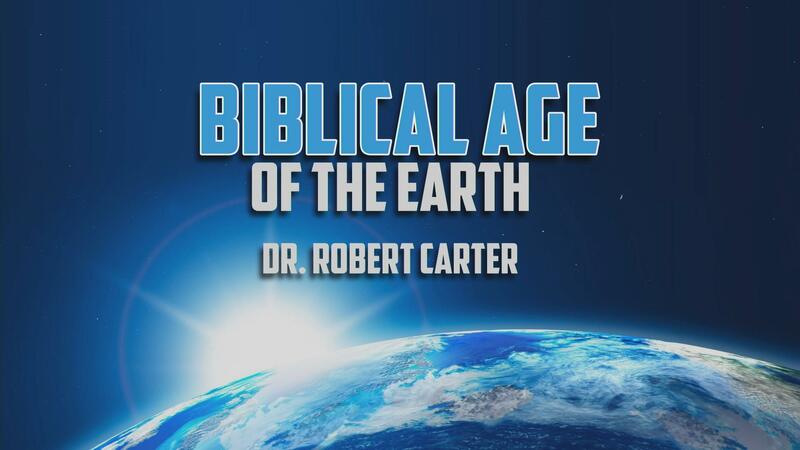 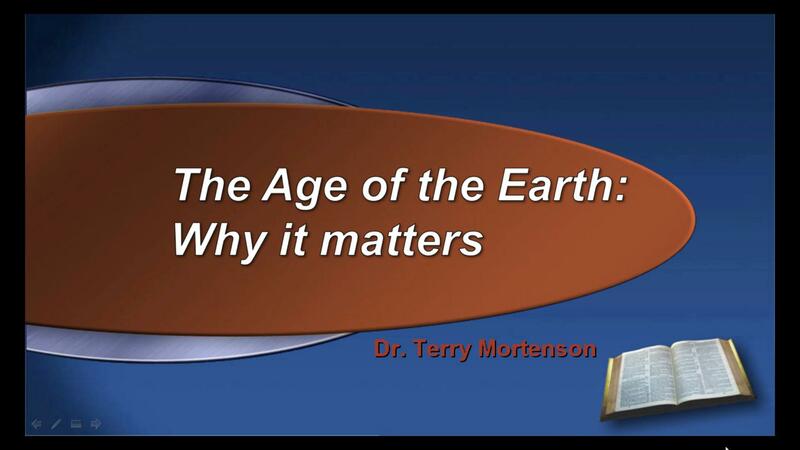 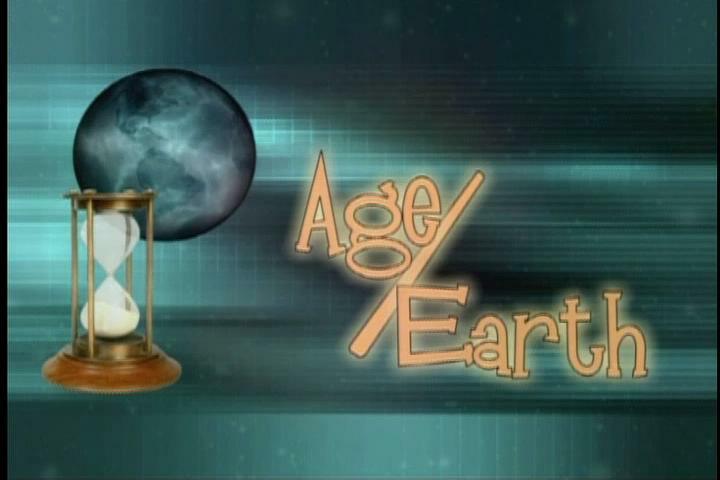 Join Origins host Donn Chapman as he welcomes Dr. Terry Mortenson for, The Age of the Earth: Why it matters. 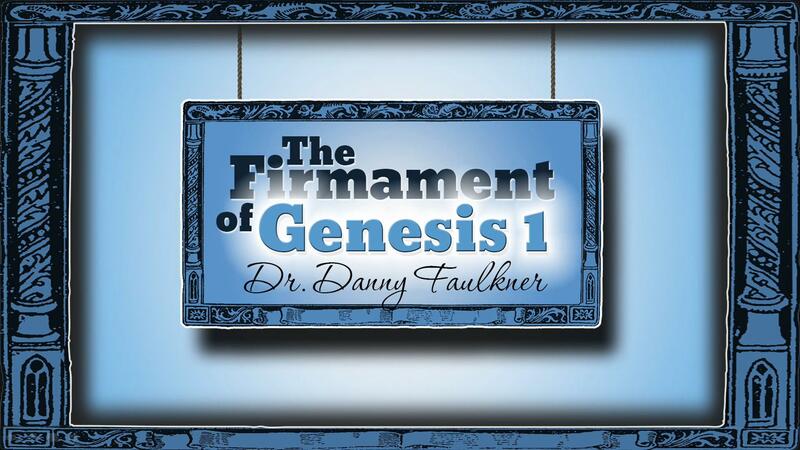 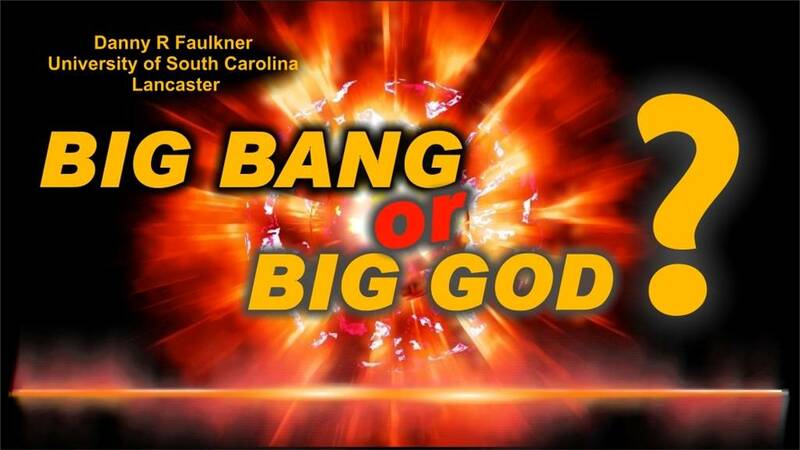 Join Origins host Donn Chapman as he welcomes Dr. Danny Faulkner for, Big Bang or Big God? 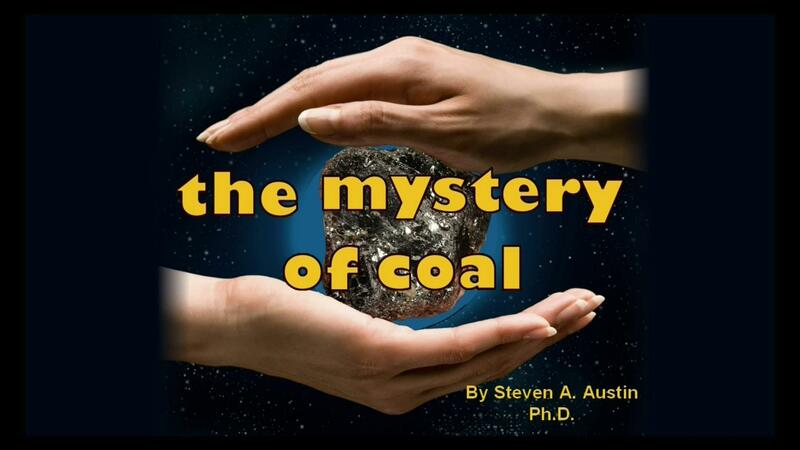 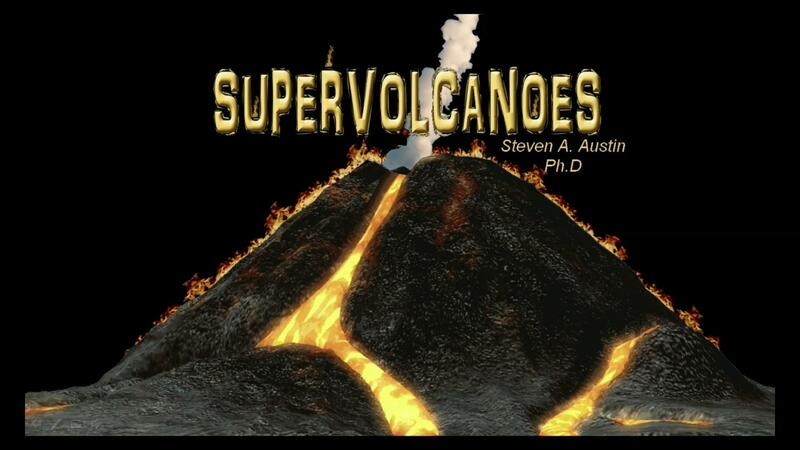 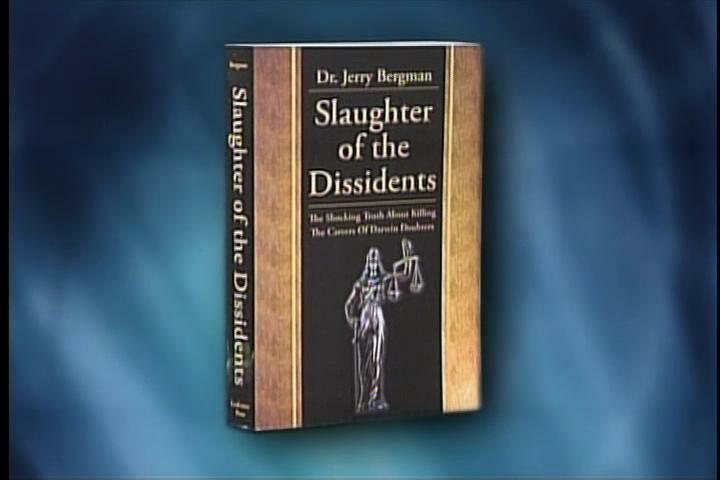 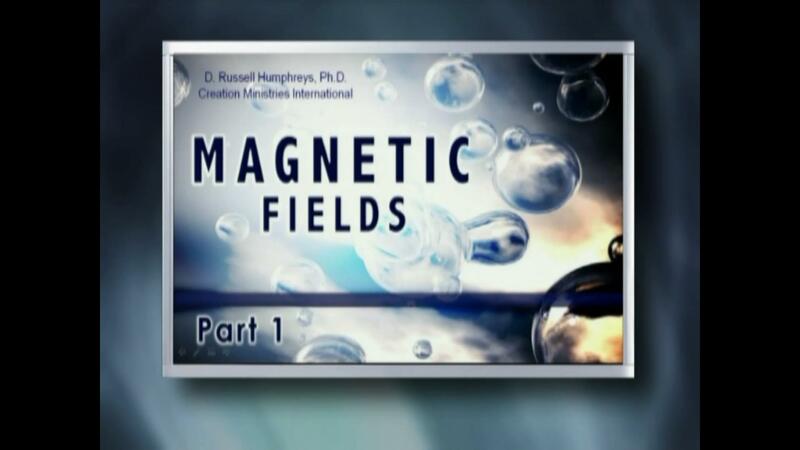 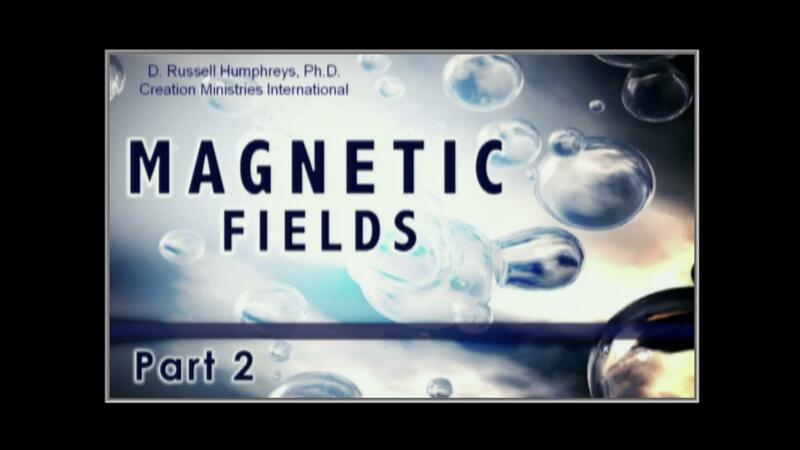 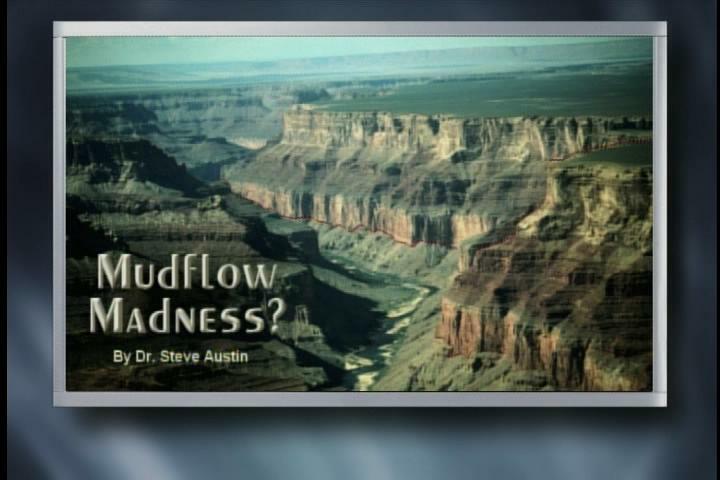 Join Origins host Donn Chapman as he welcomes Dr. Steve Austin for, Mud Flow Madness? 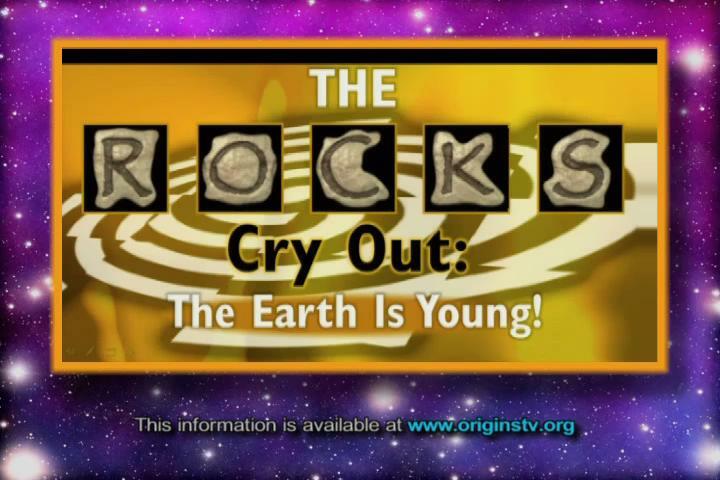 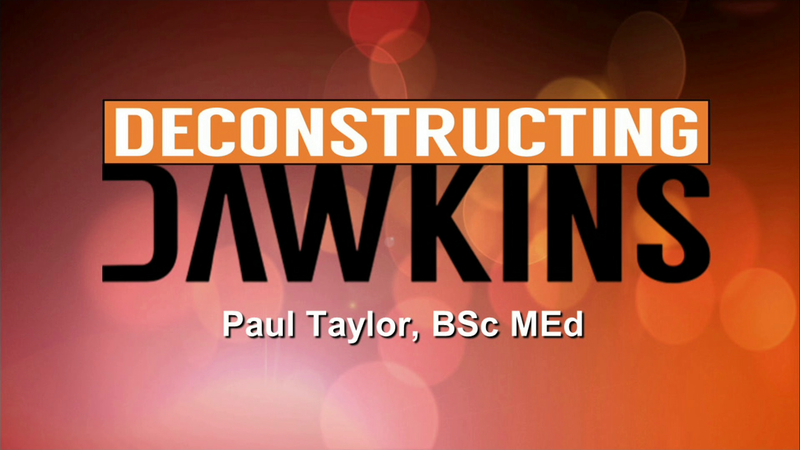 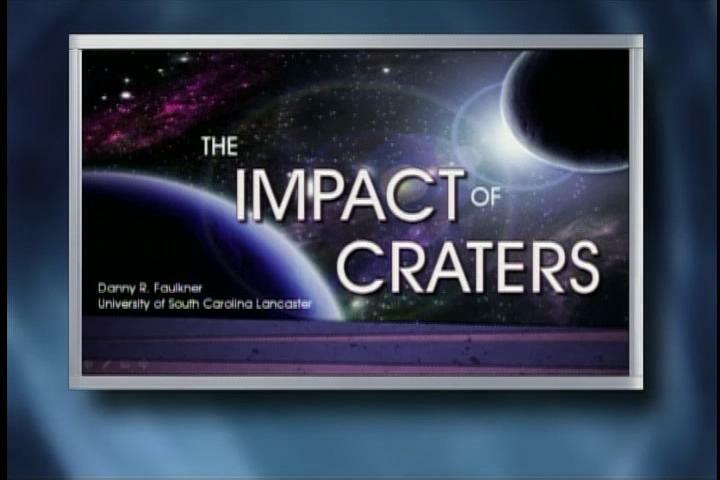 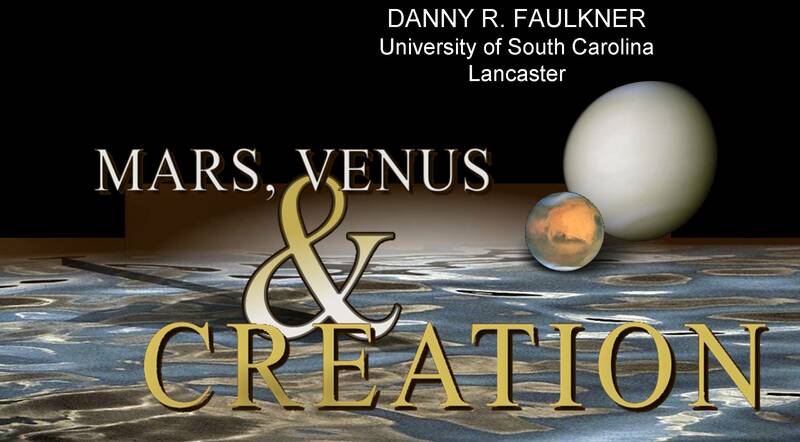 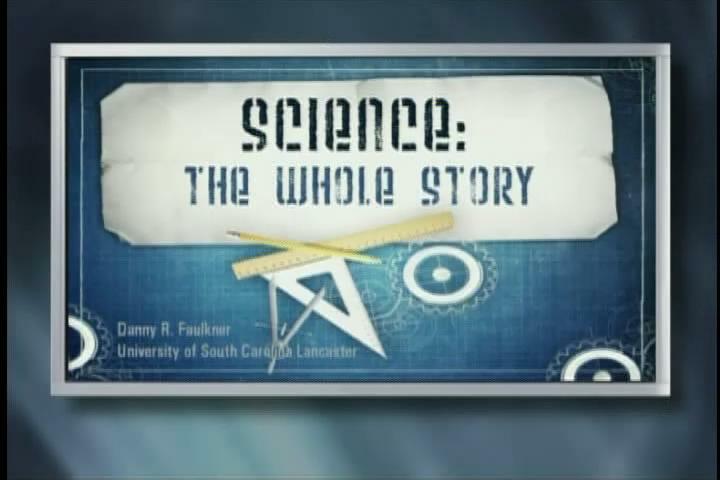 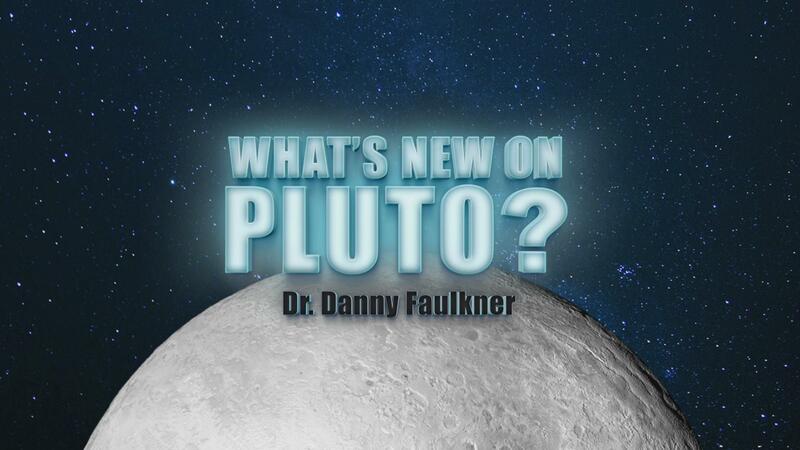 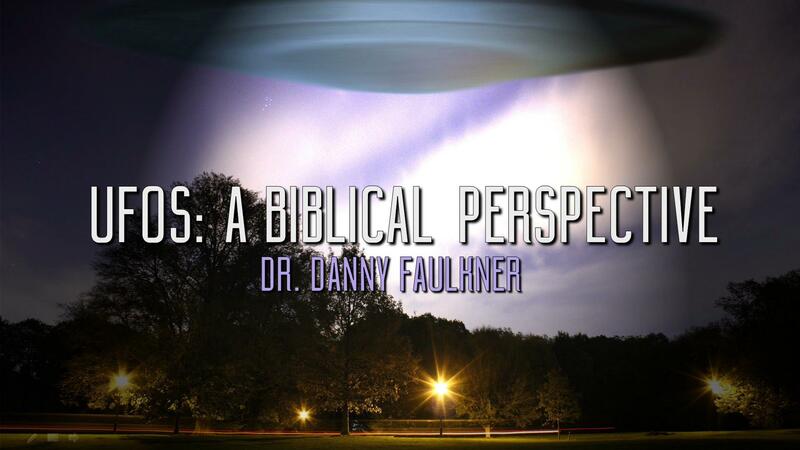 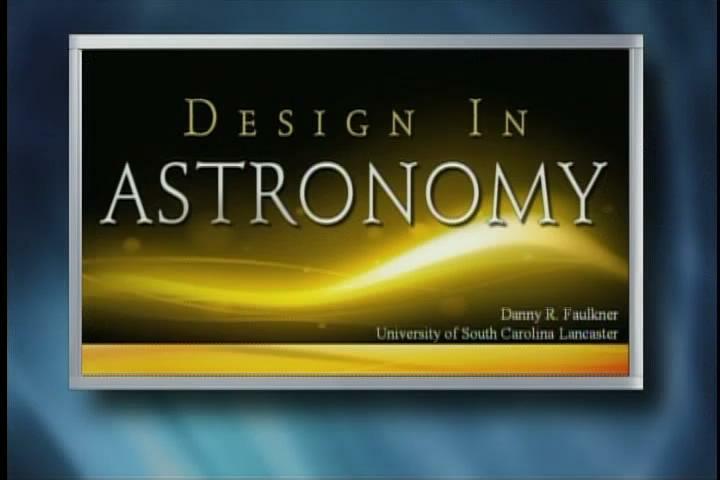 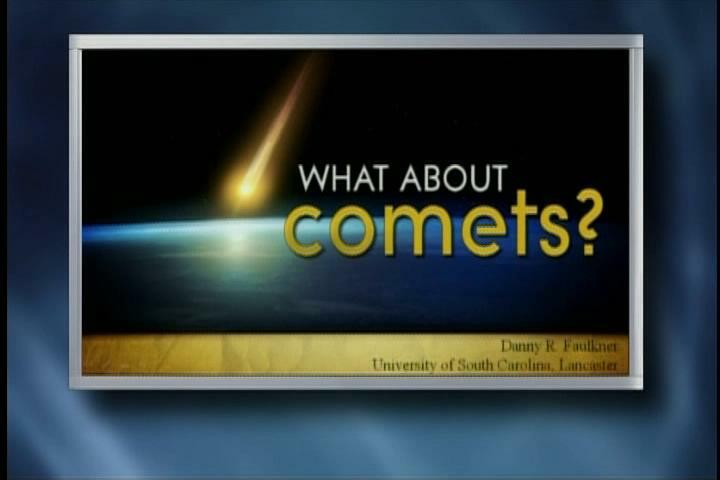 Join Origins host Donn Chapman as he welcomes Dr. Danny Faulkner for, What About Comets? 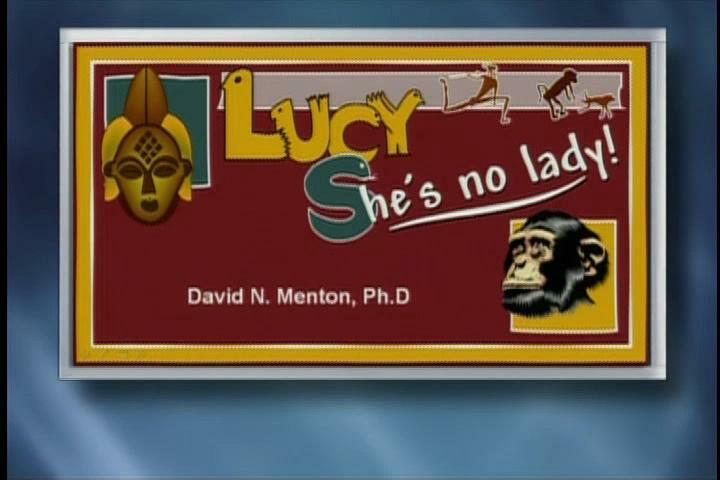 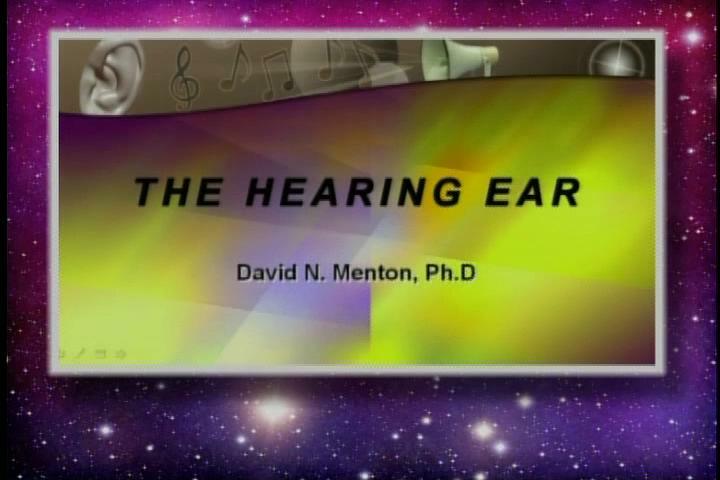 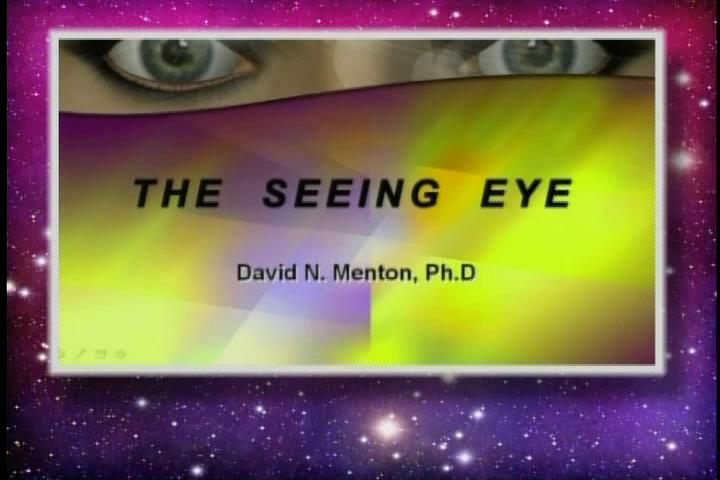 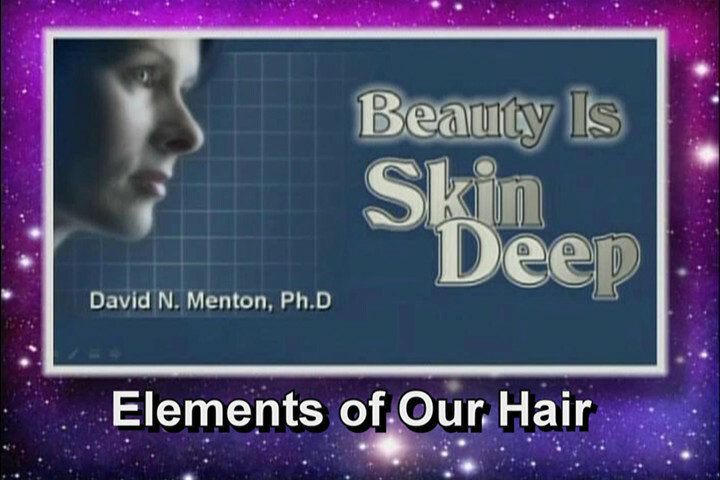 Join Origins host Donn Chapman as he welcomes Dr. David Menton for, Lucy, She’s No Lady! 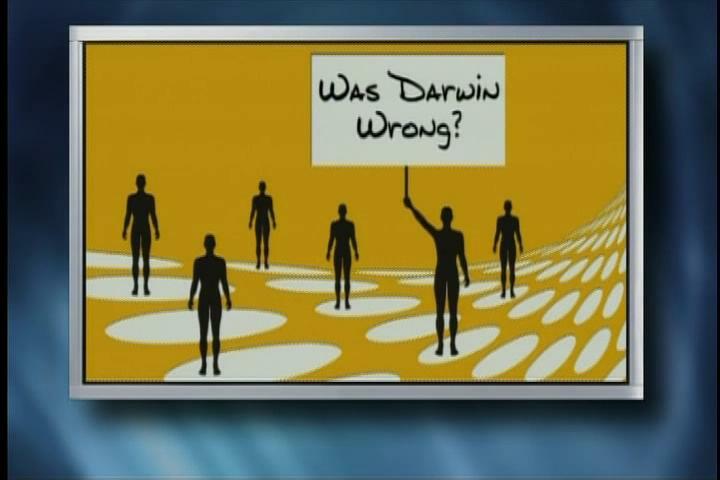 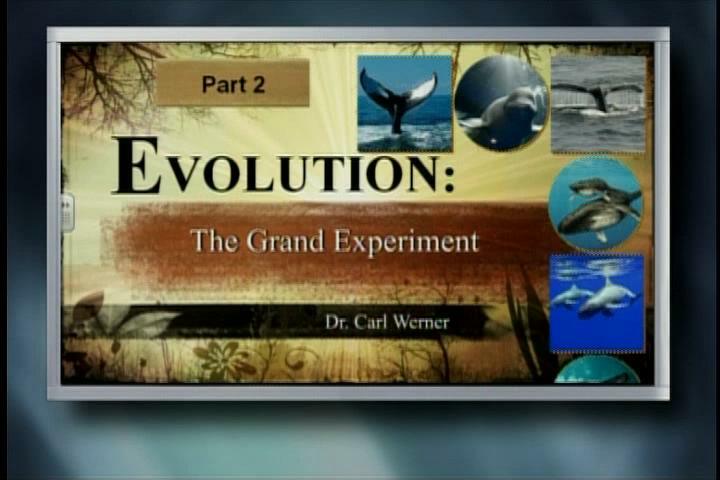 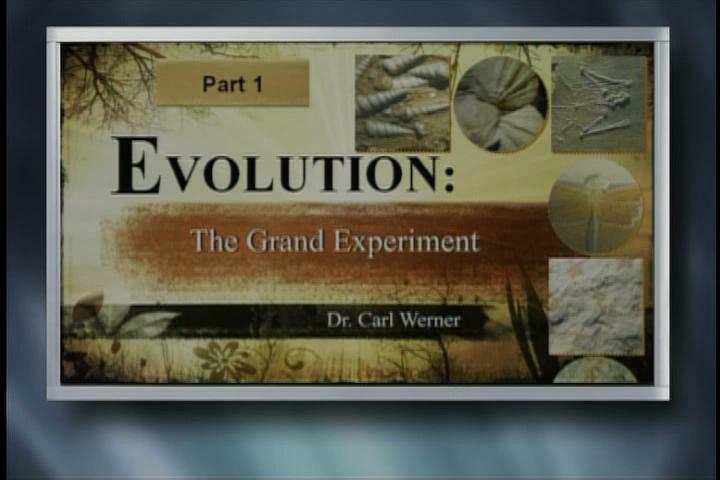 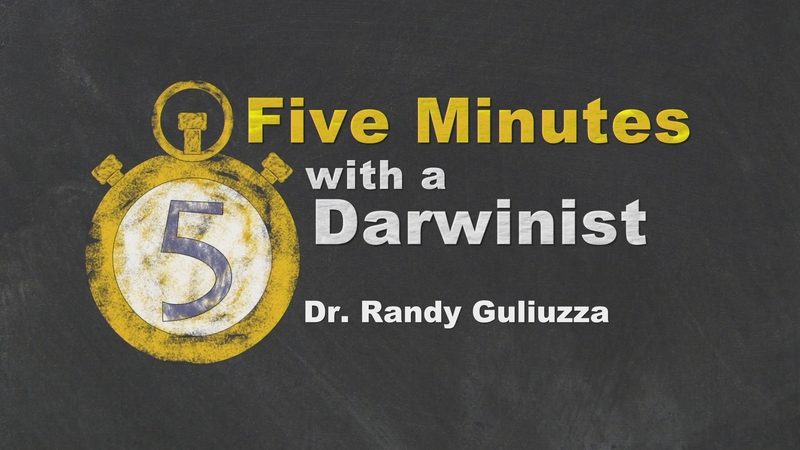 Join Origins host Donn Chapman as he welcomes Dr. Brad Harrub for, Was Darwin Wrong? 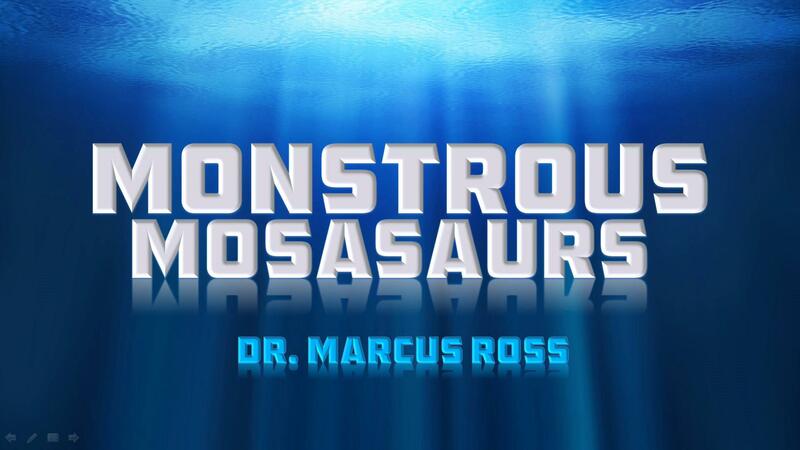 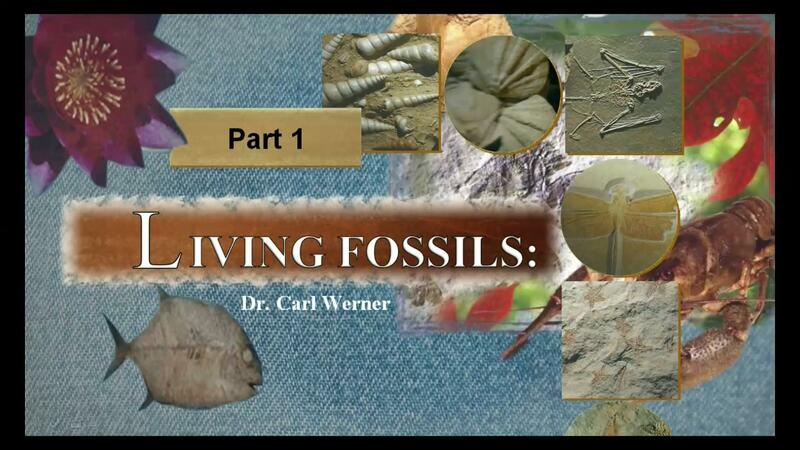 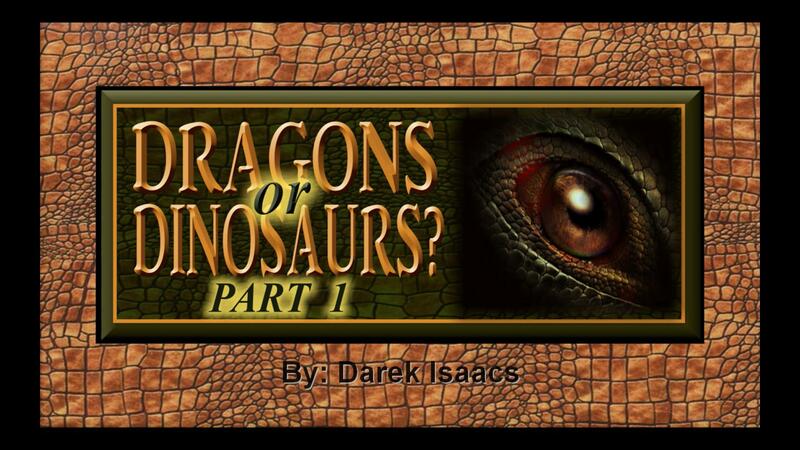 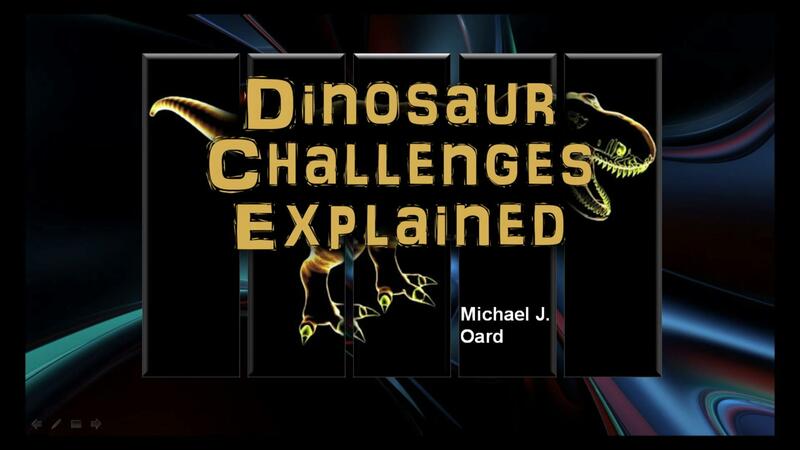 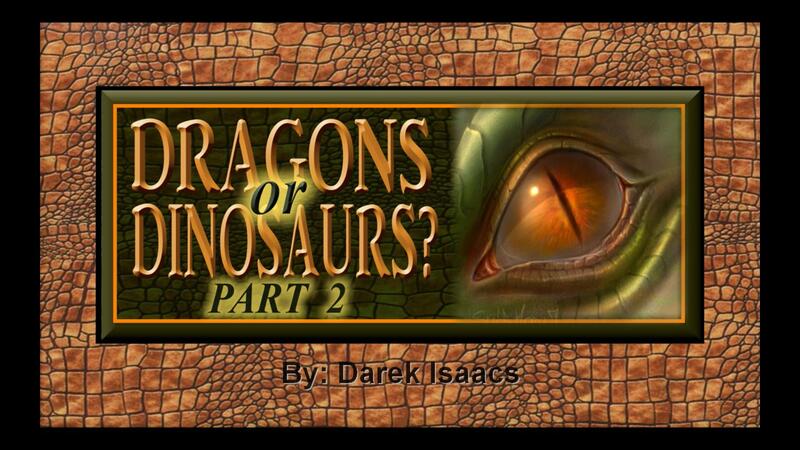 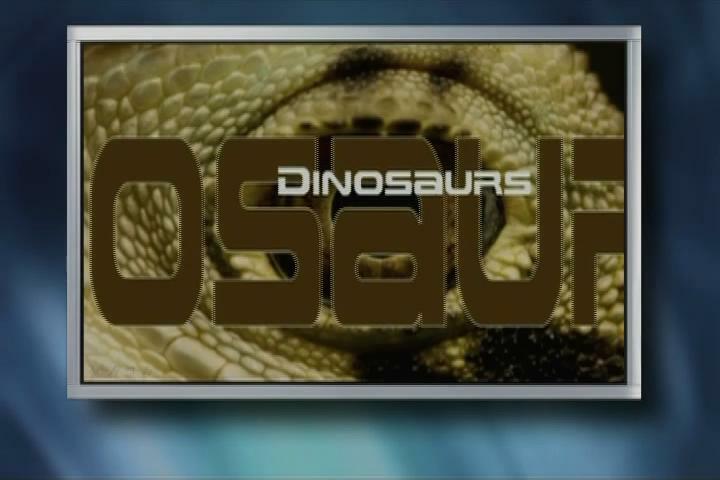 Join Origins host Donn Chapman as he welcomes Dr. Brad Harrub for, Dinosaurs! 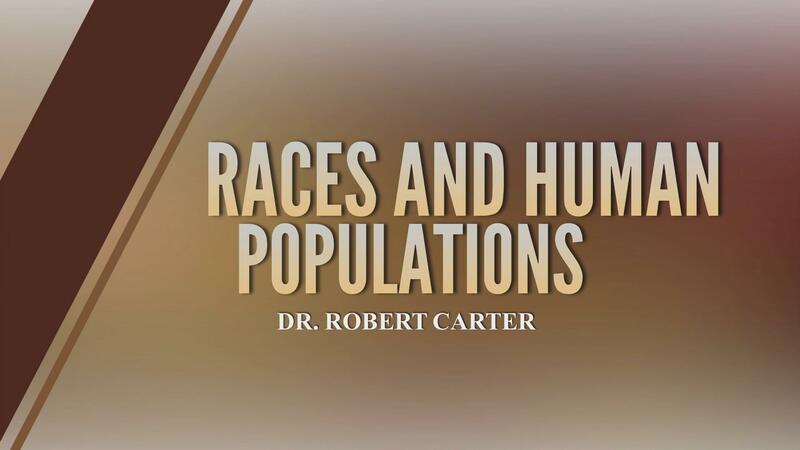 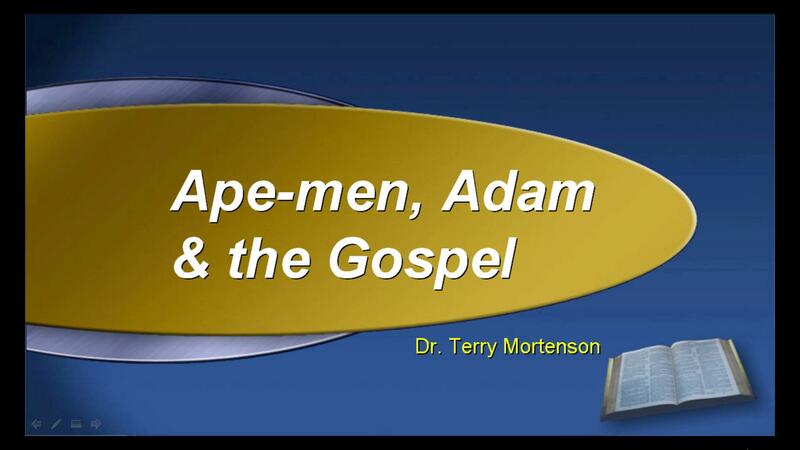 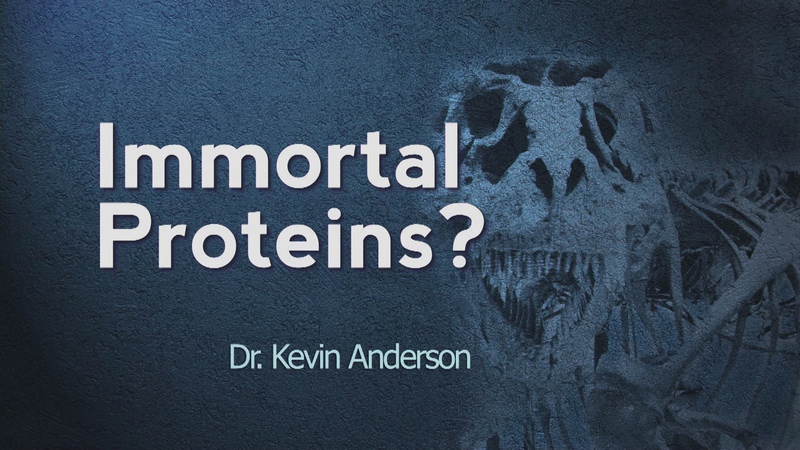 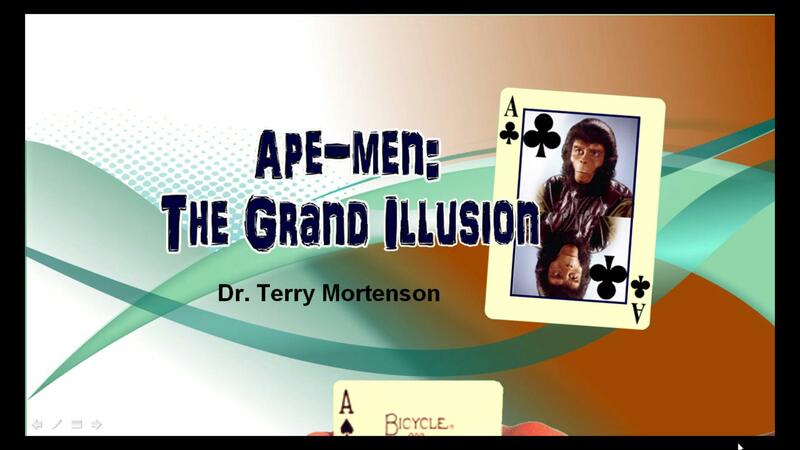 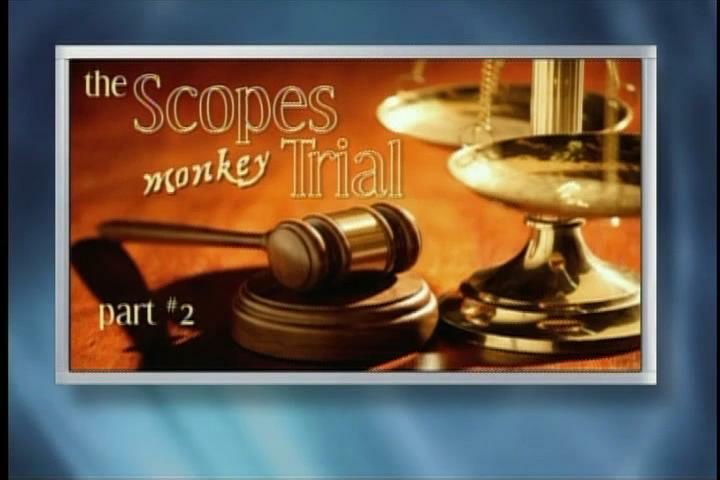 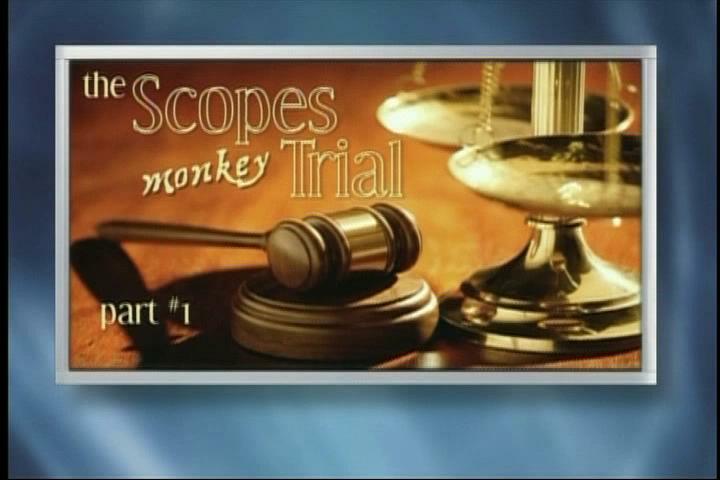 Join Origins host Donn Chapman as he welcomes Dr. Terry Mortenson for, Was Your Ancestor an Ape? 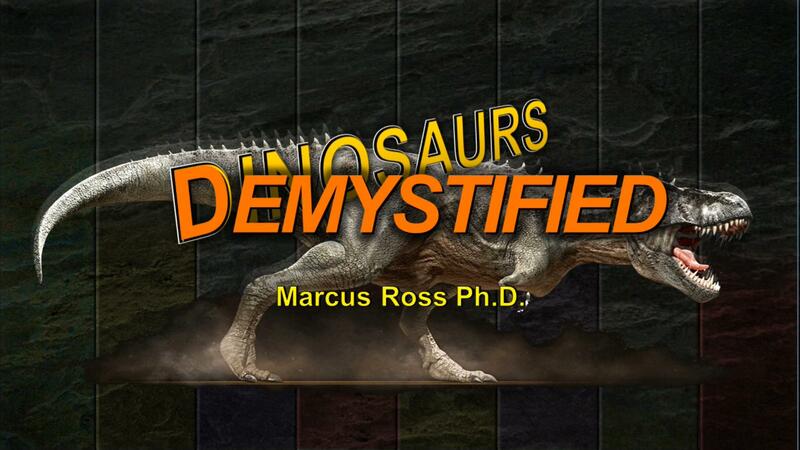 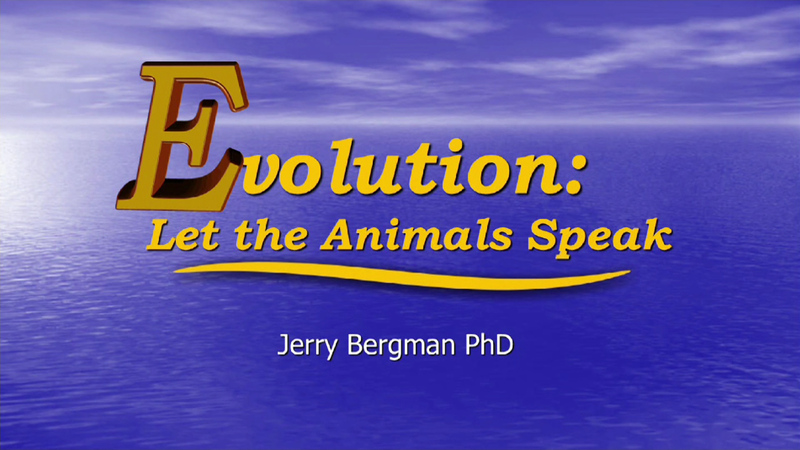 Join Origins host Donn Chapman as he welcomes Dr. Terry Mortenson for, Dinosaurs! 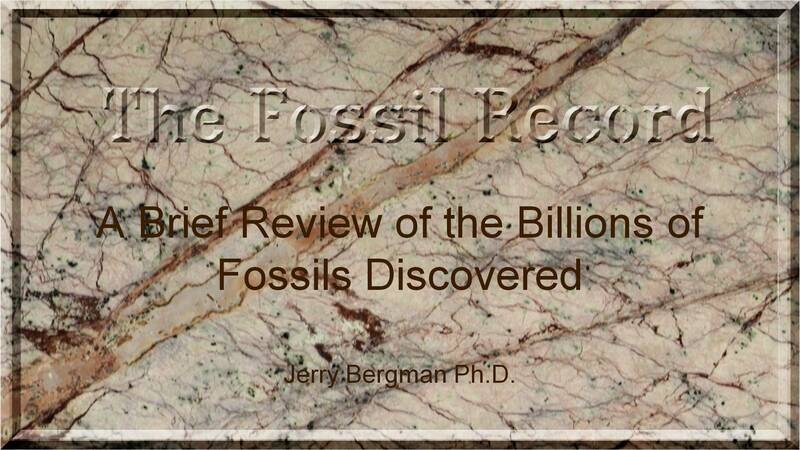 Join Origins host Donn Chapman as he welcomes Dr. Terry Mortenson for, Millions of Years: Where did the idea come from?